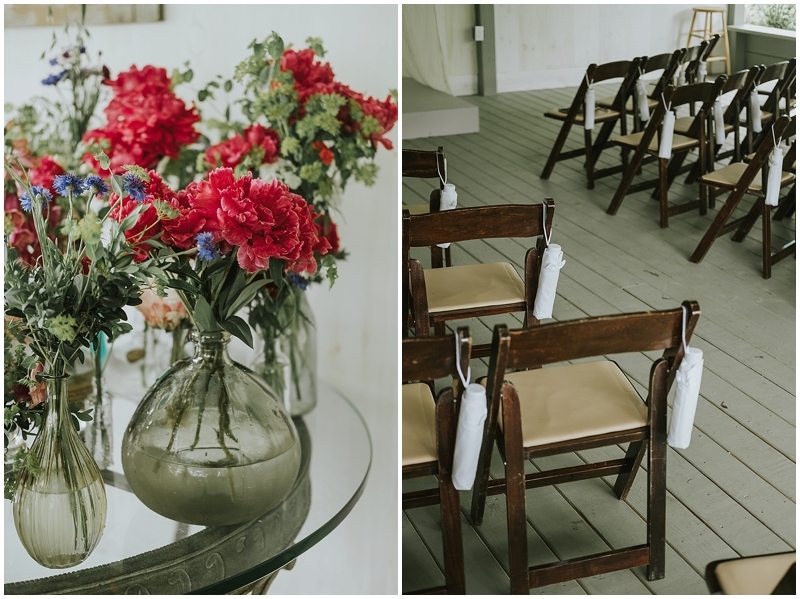 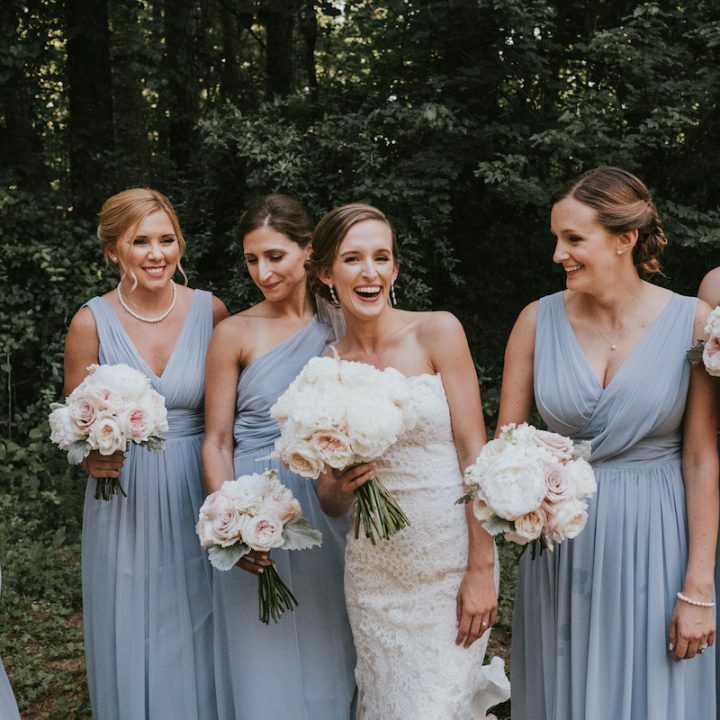 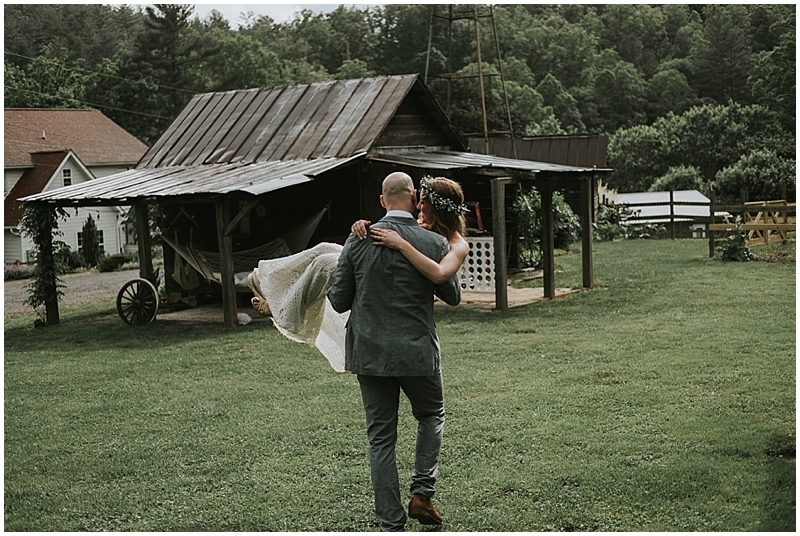 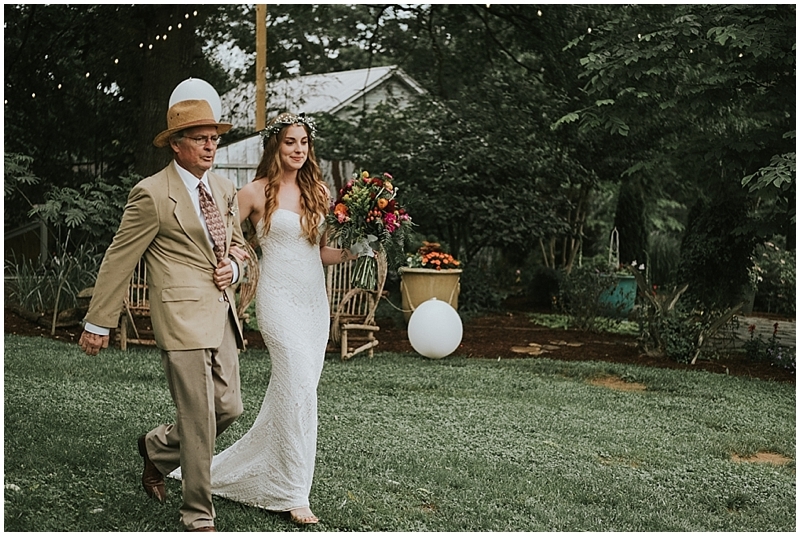 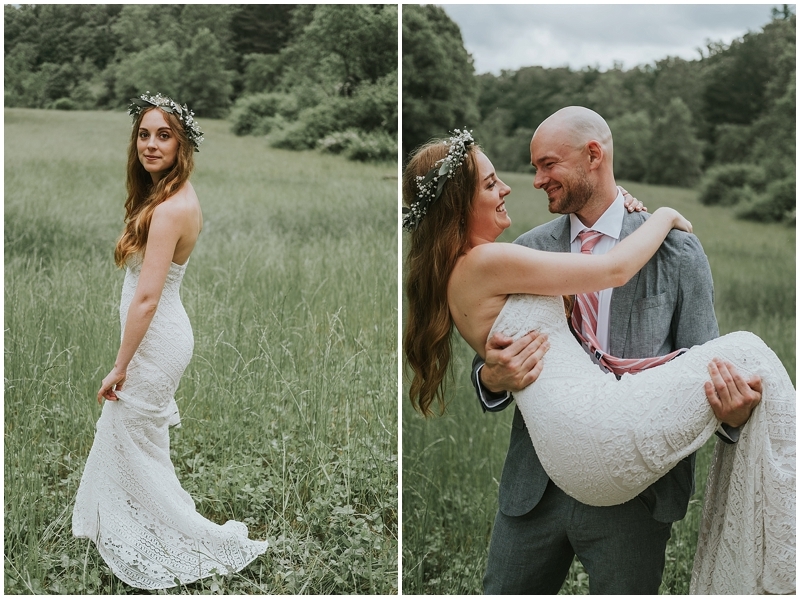 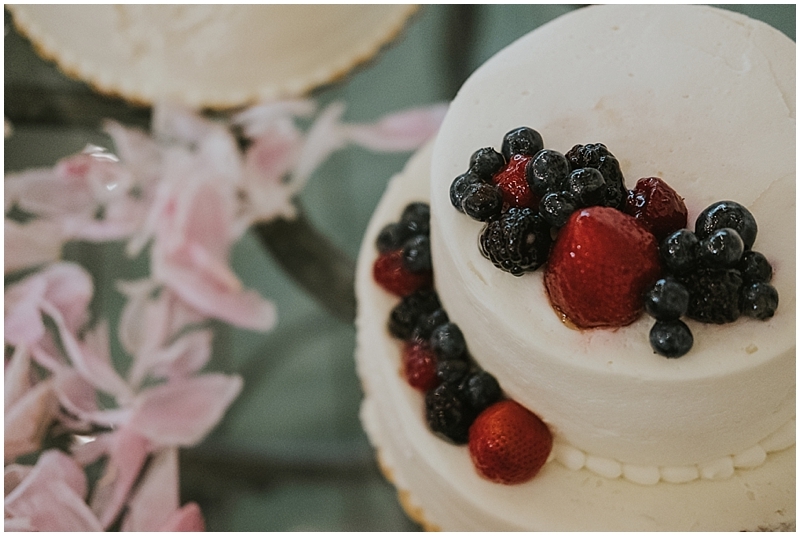 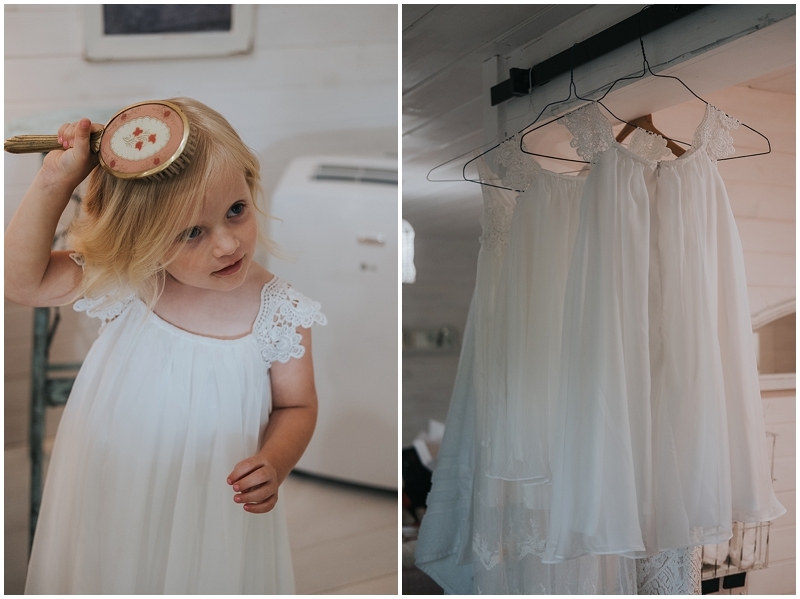 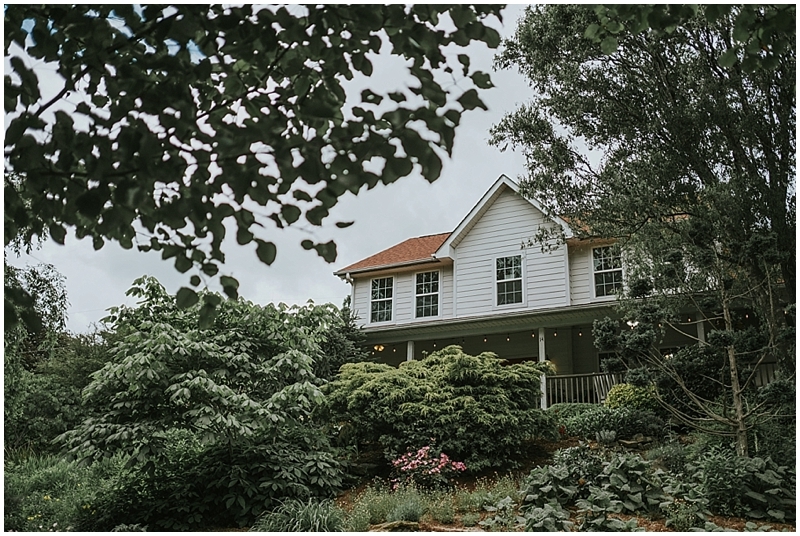 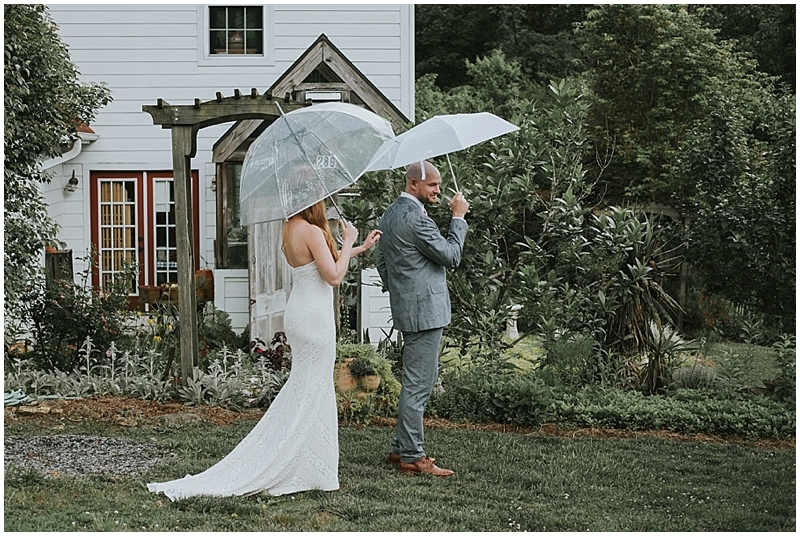 Erica and Jackson were married last summer on a beautiful North Carolina farm. 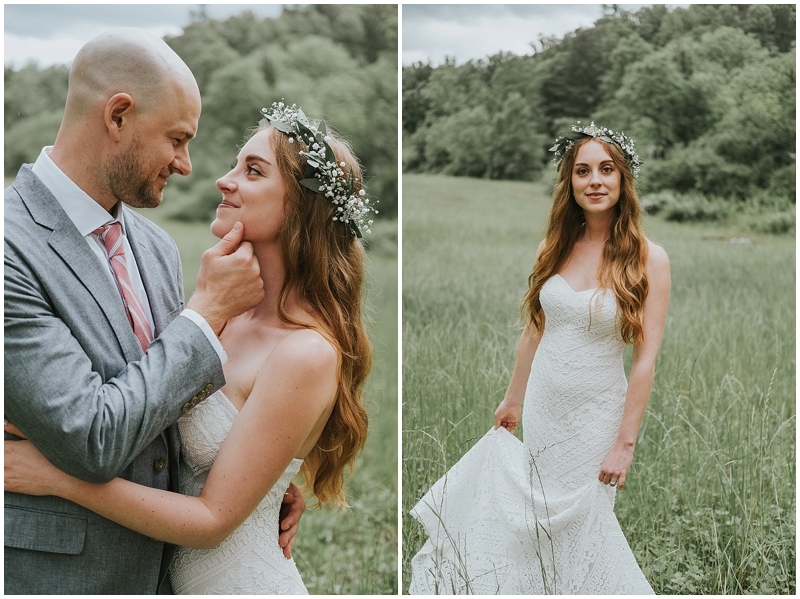 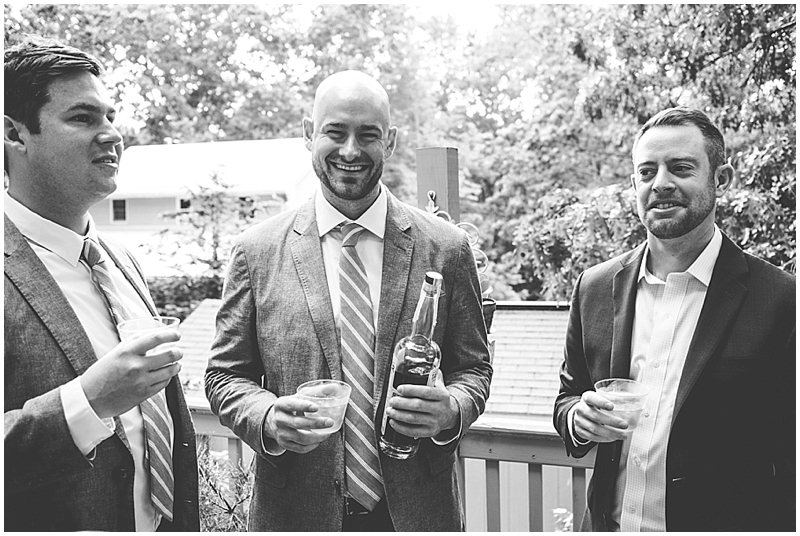 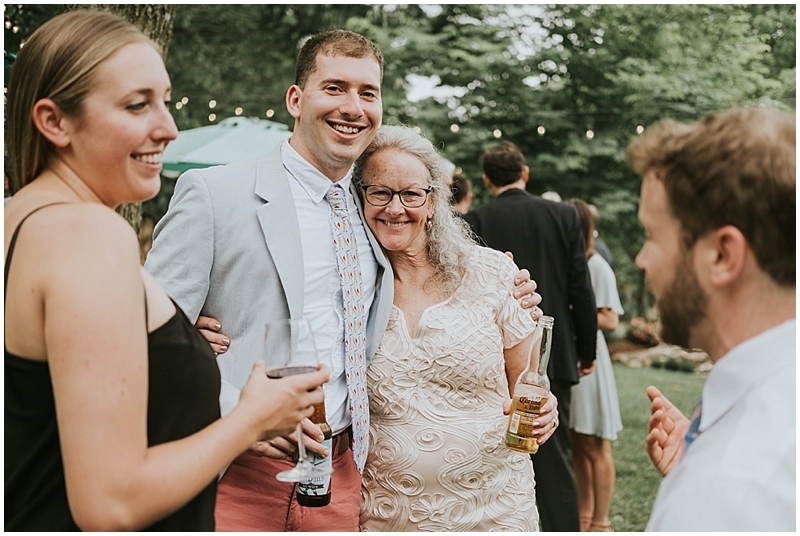 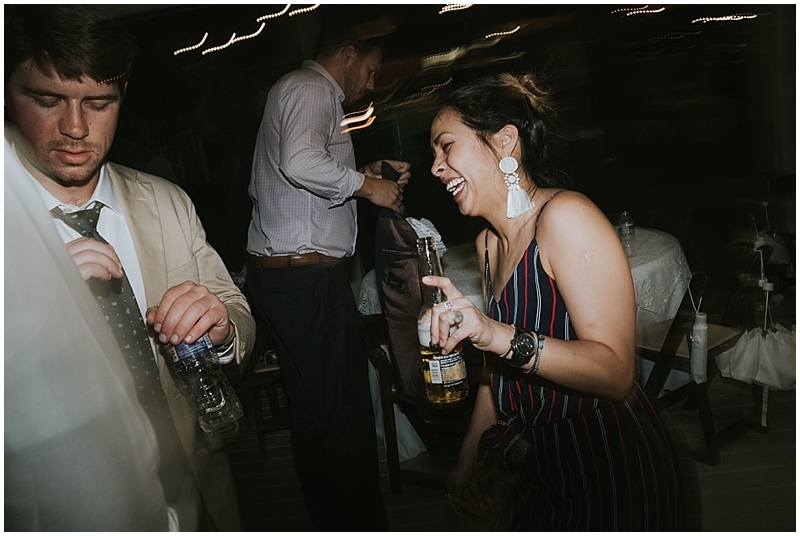 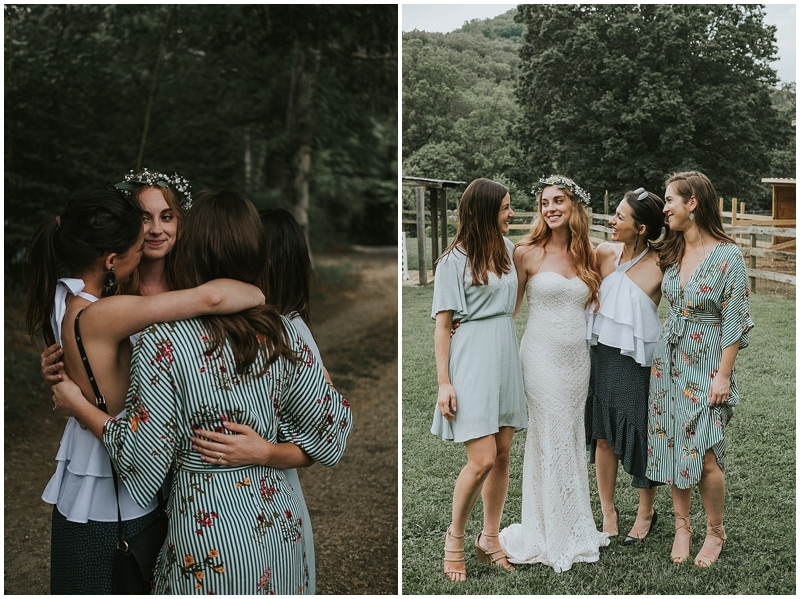 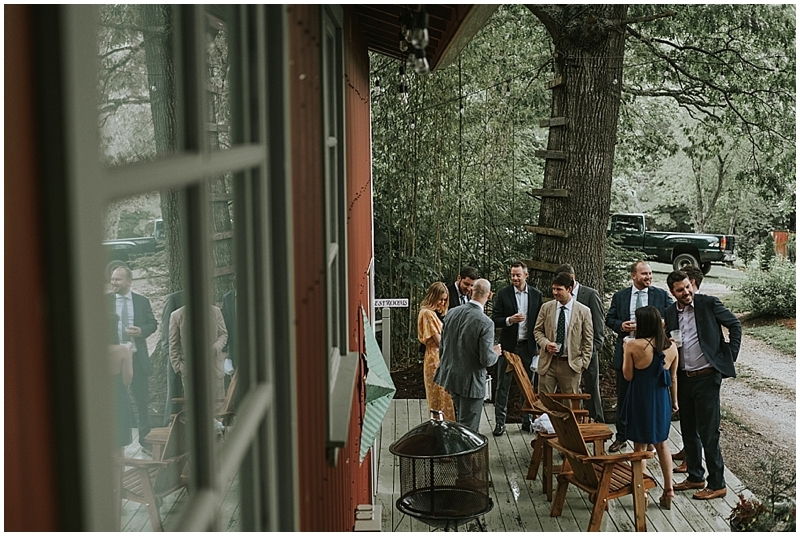 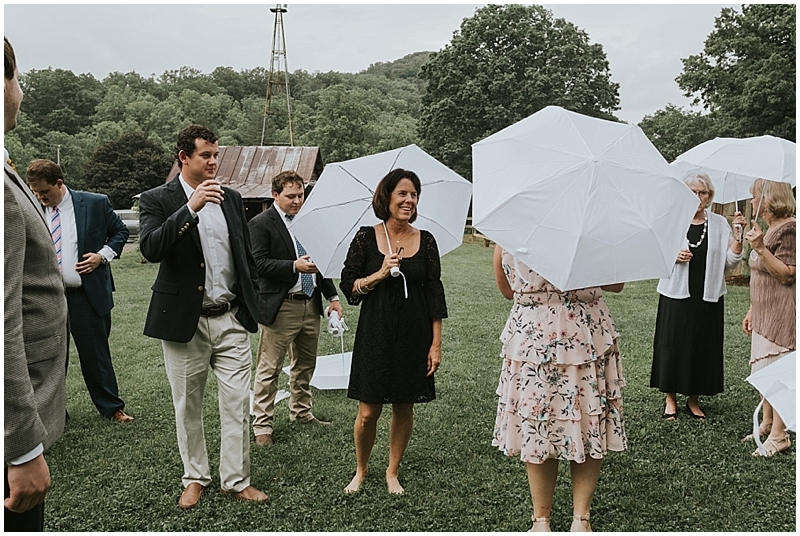 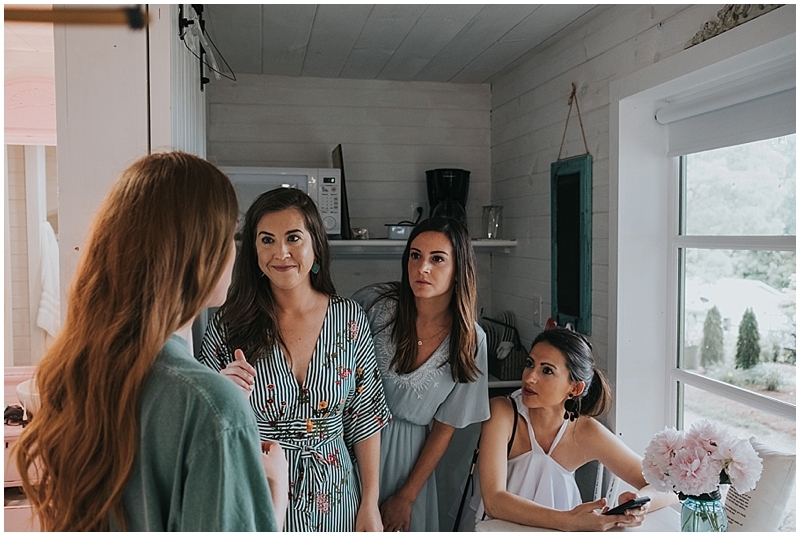 These two and all their guests traveled from out of state to marry and celebrate here in the lush green North Carolina scenery. 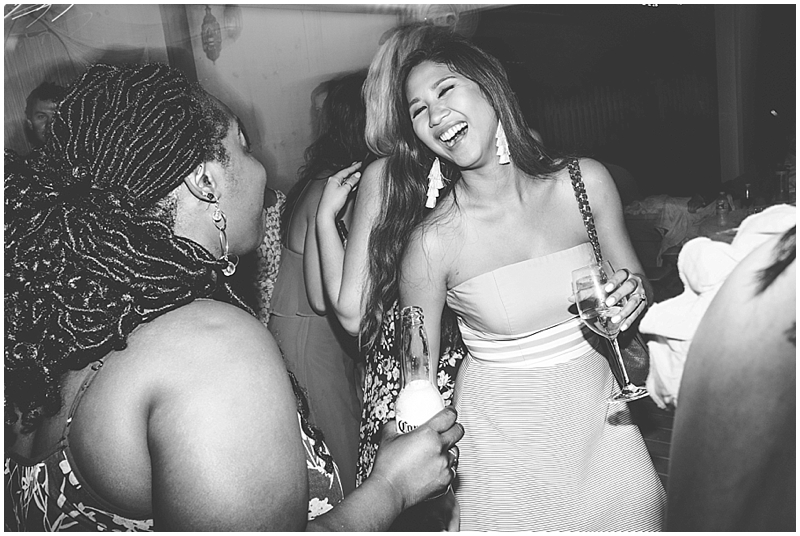 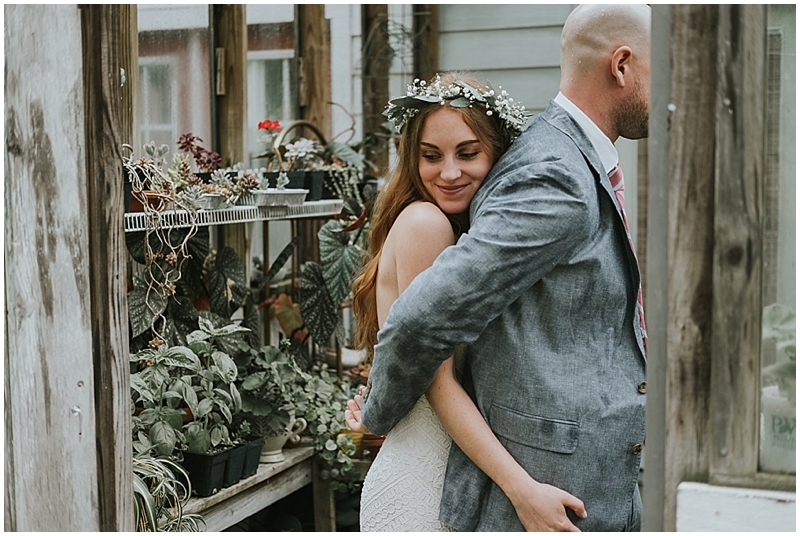 I’m so in love with their easygoing and bohemian vibe. 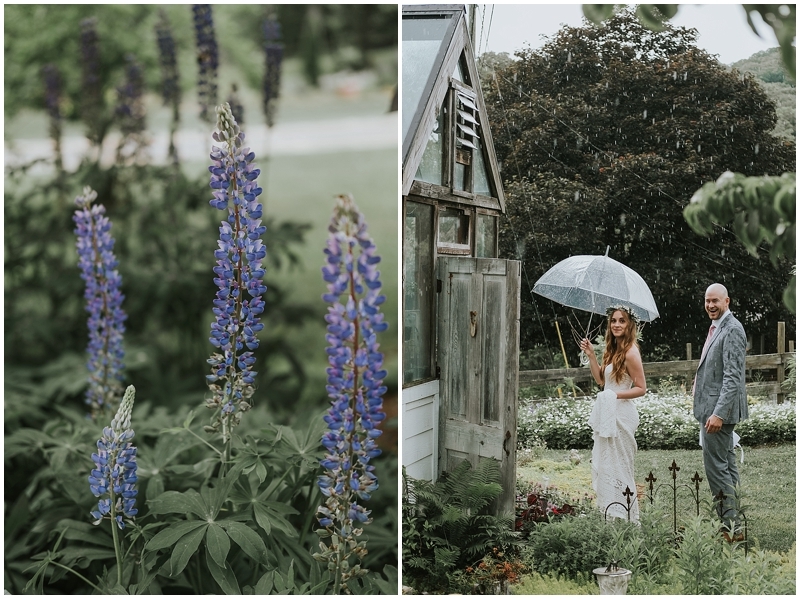 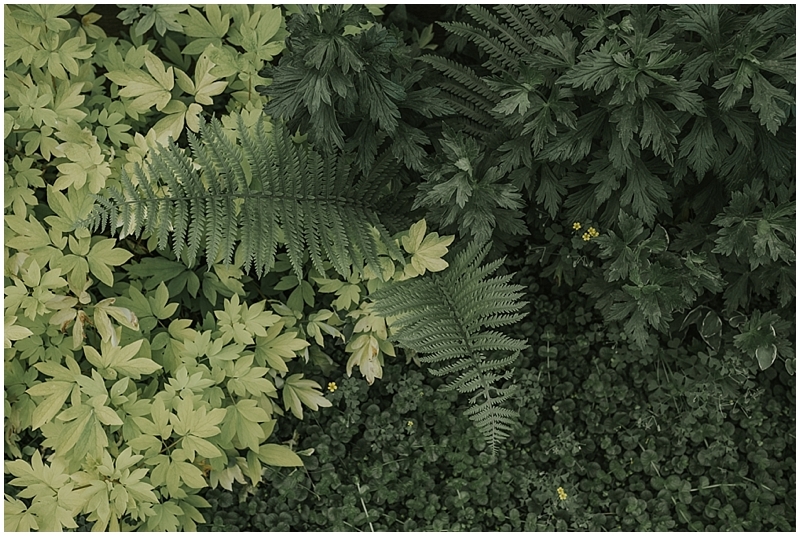 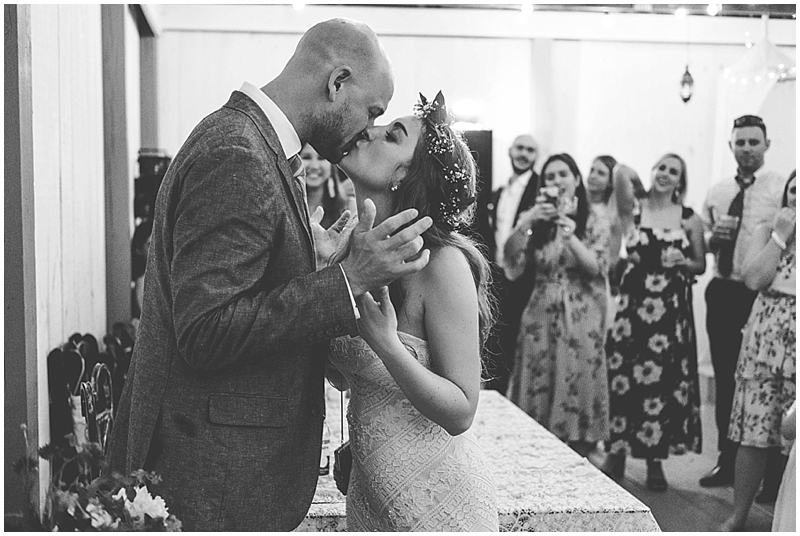 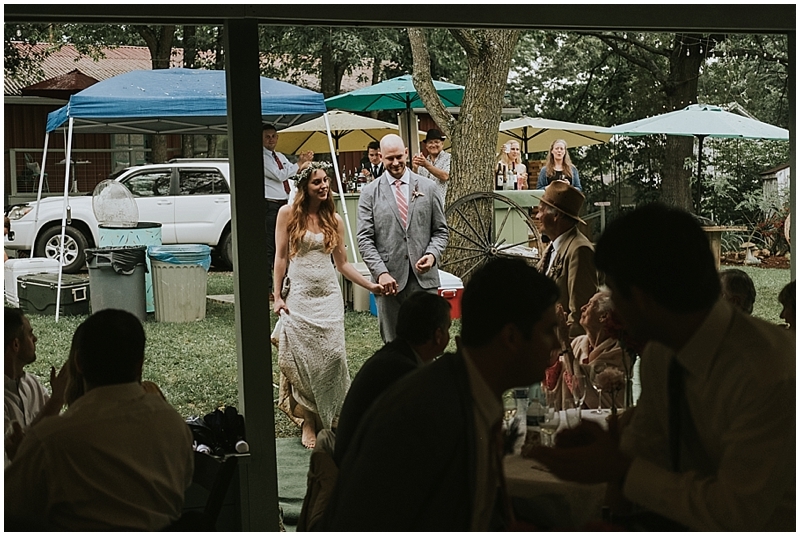 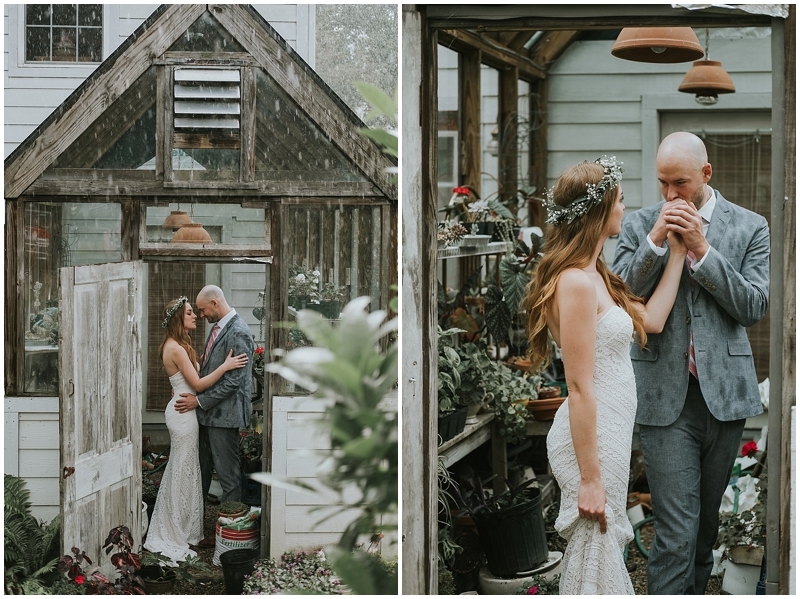 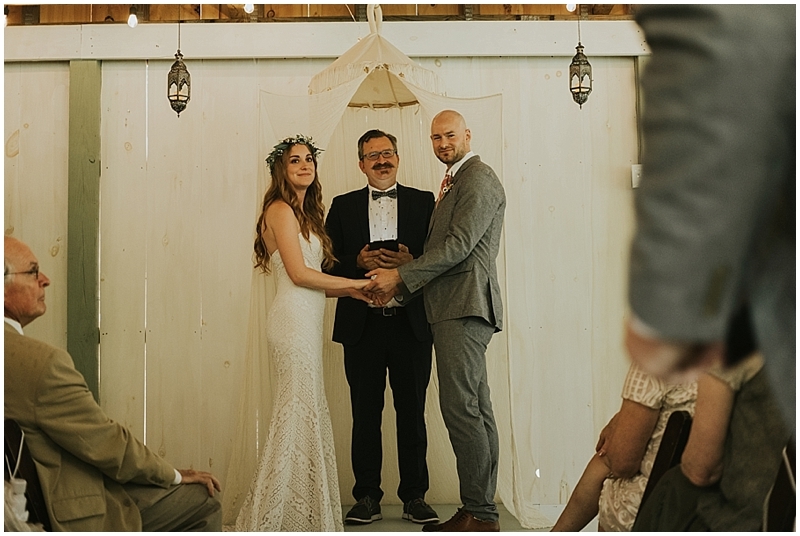 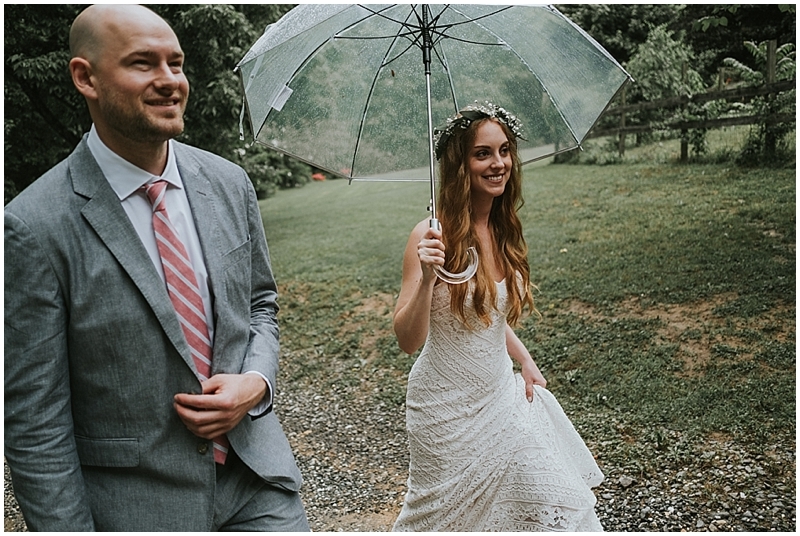 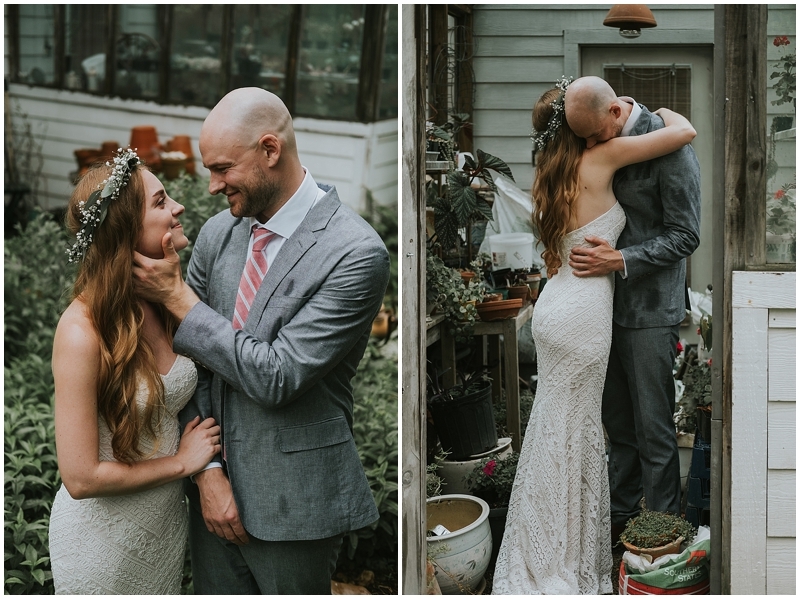 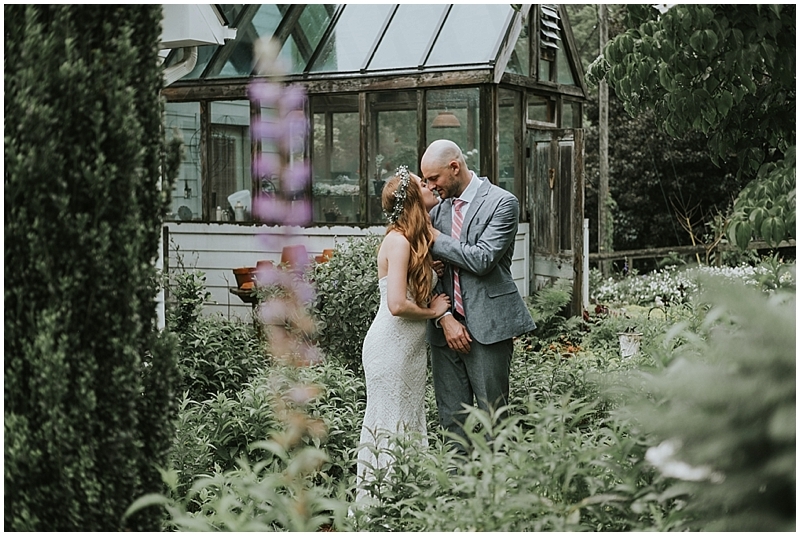 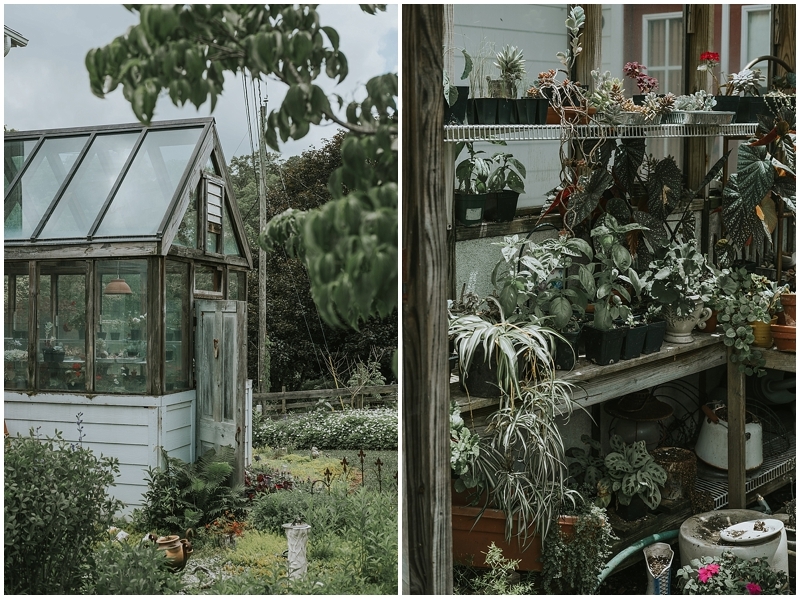 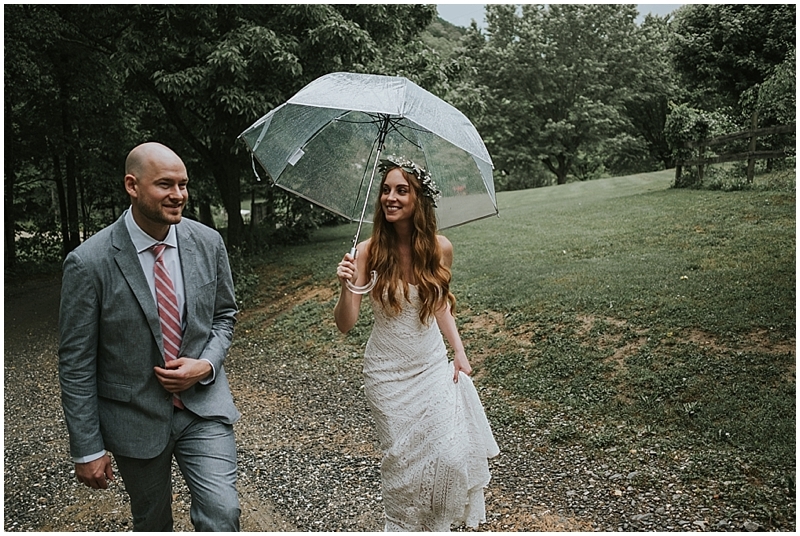 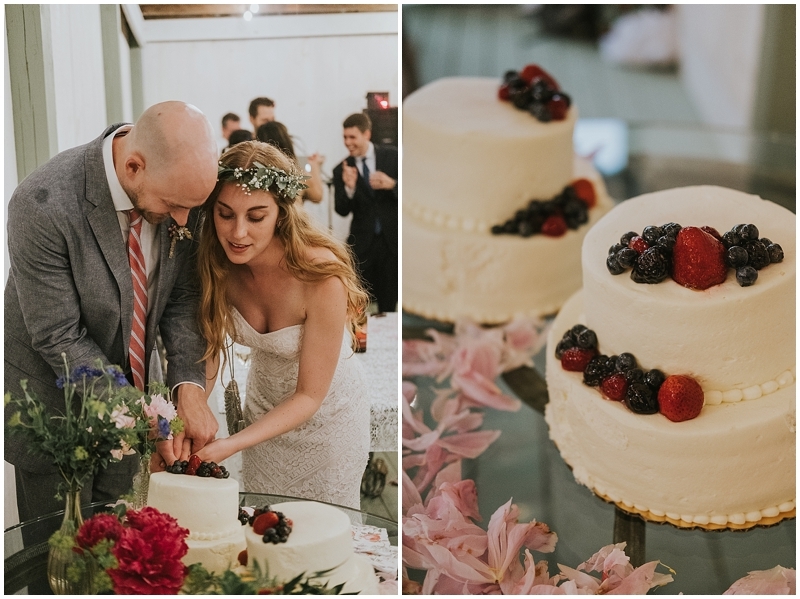 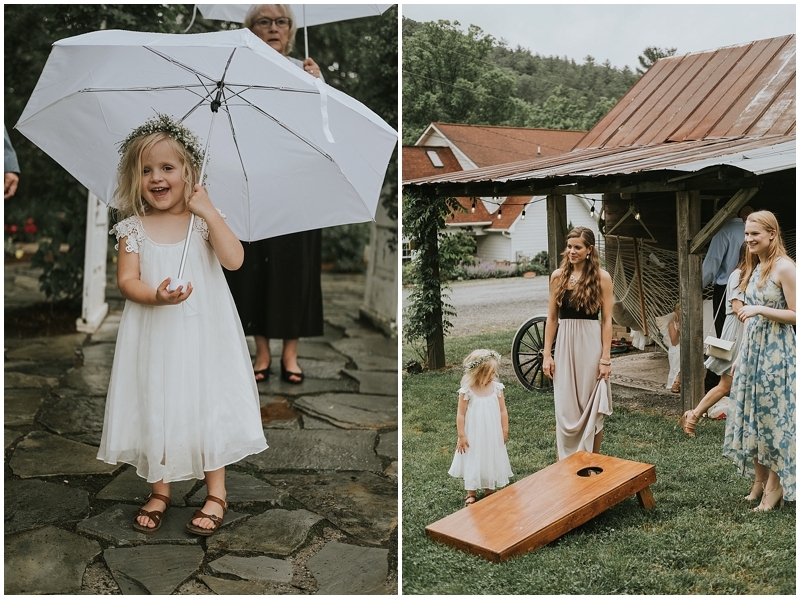 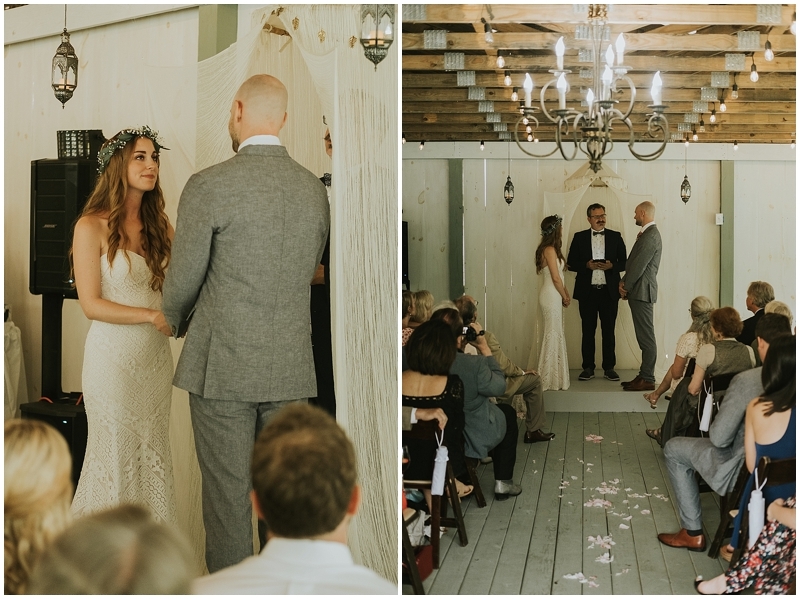 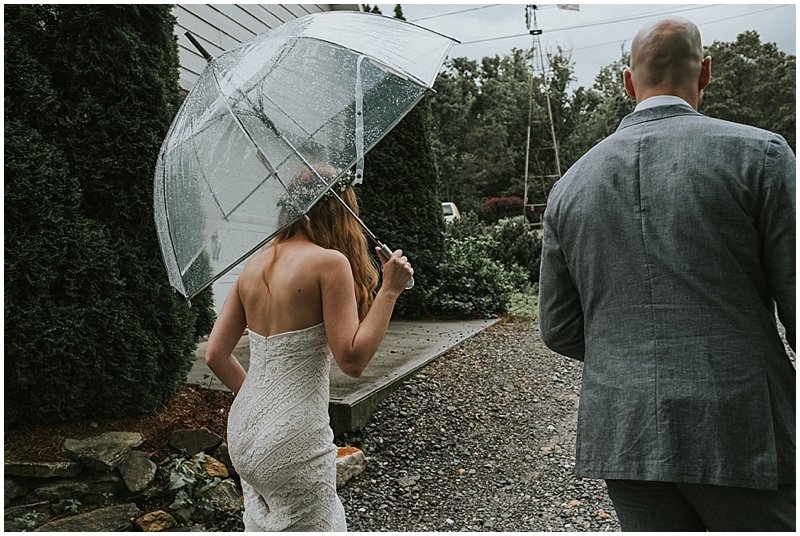 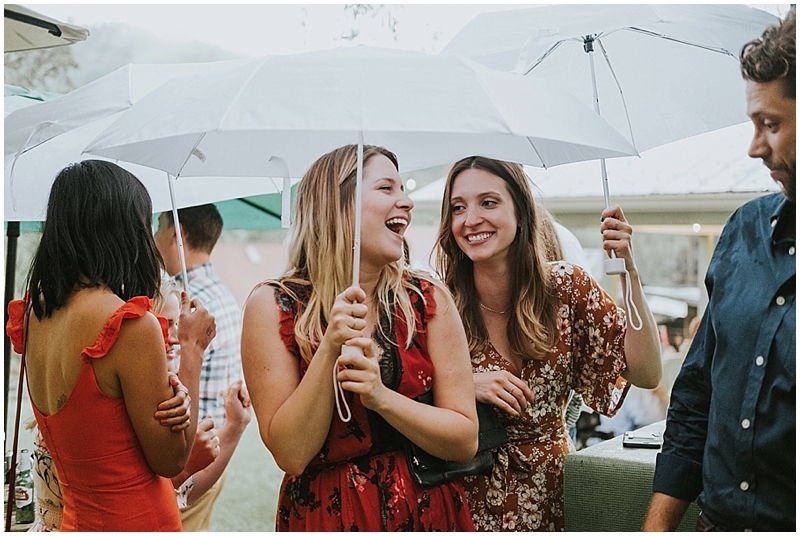 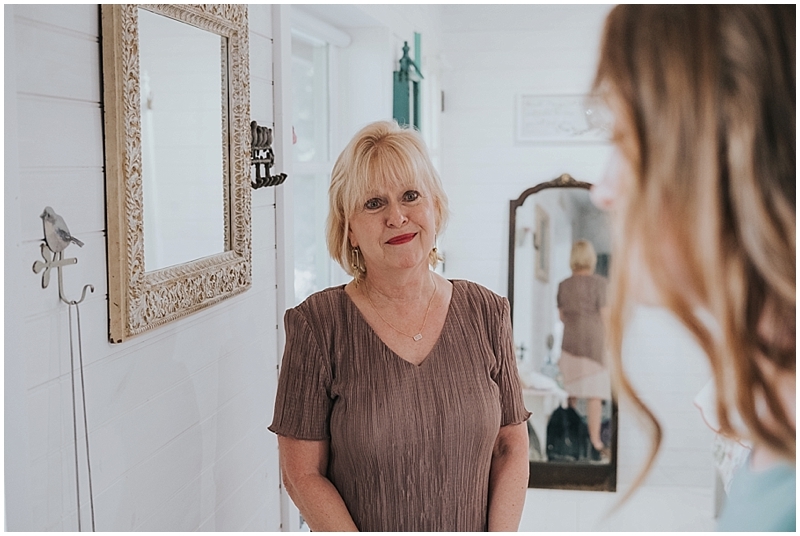 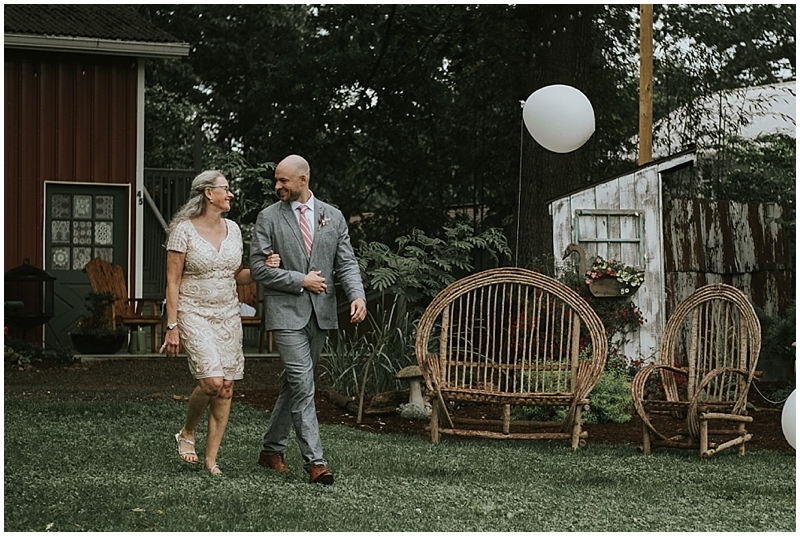 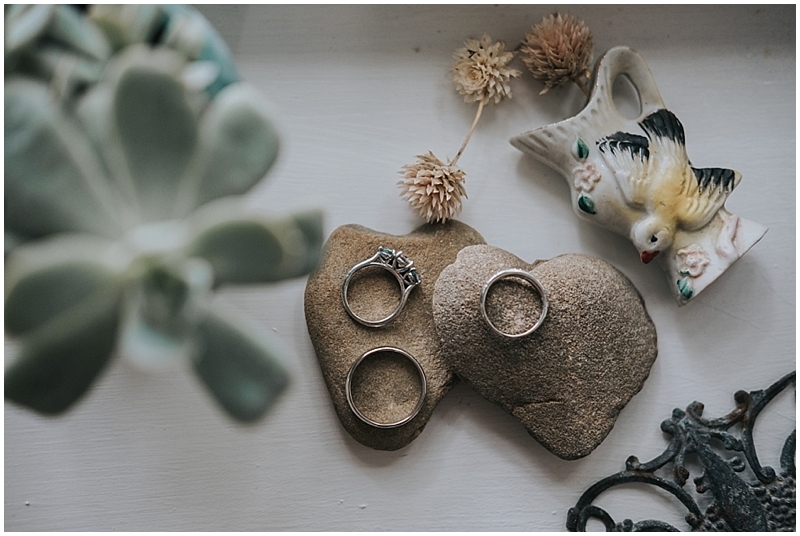 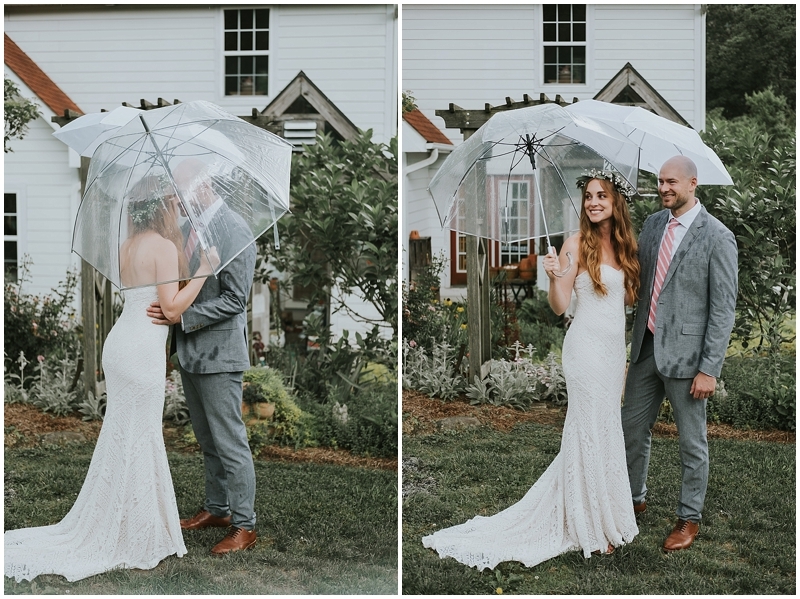 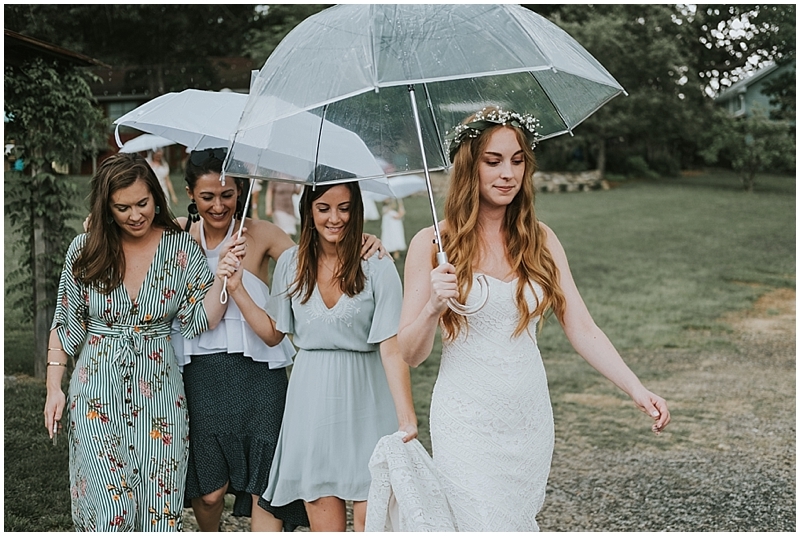 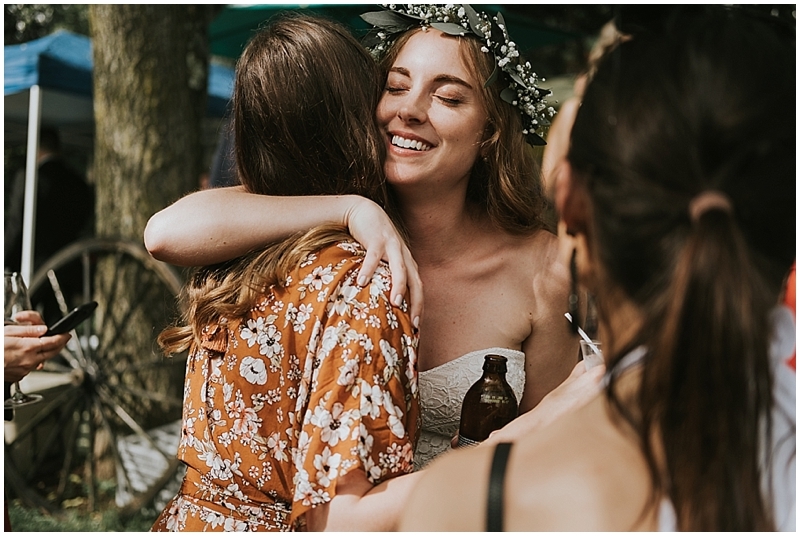 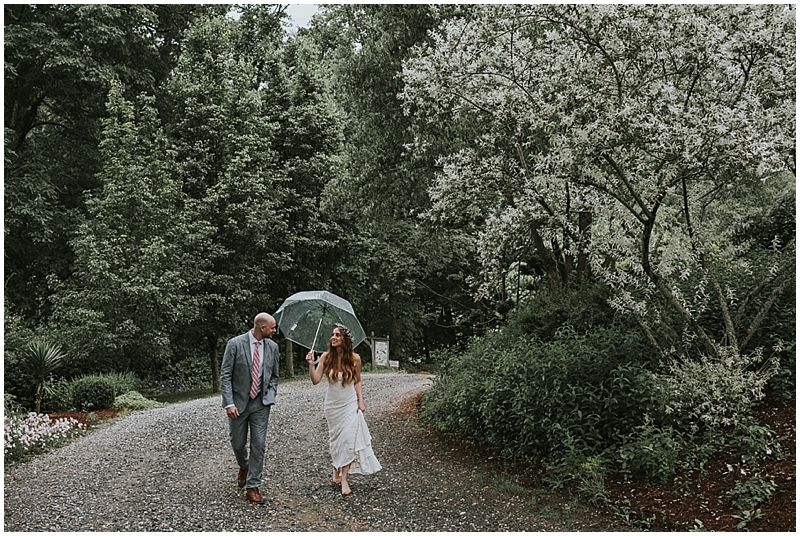 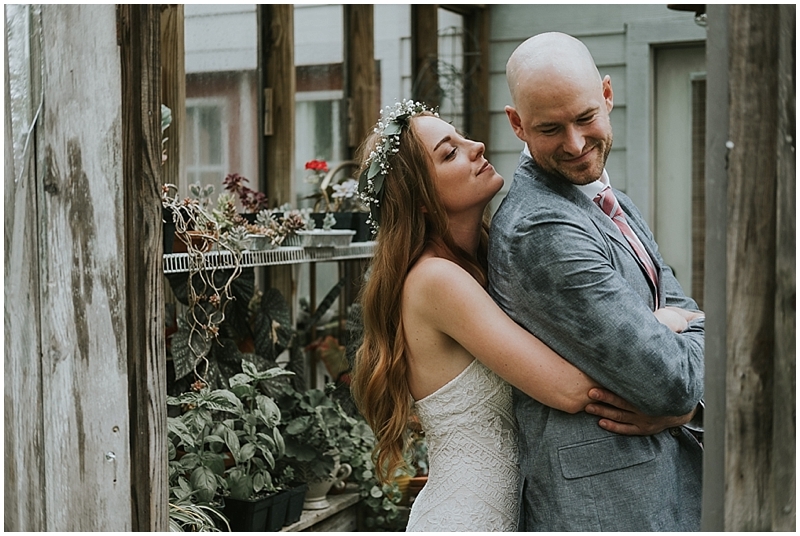 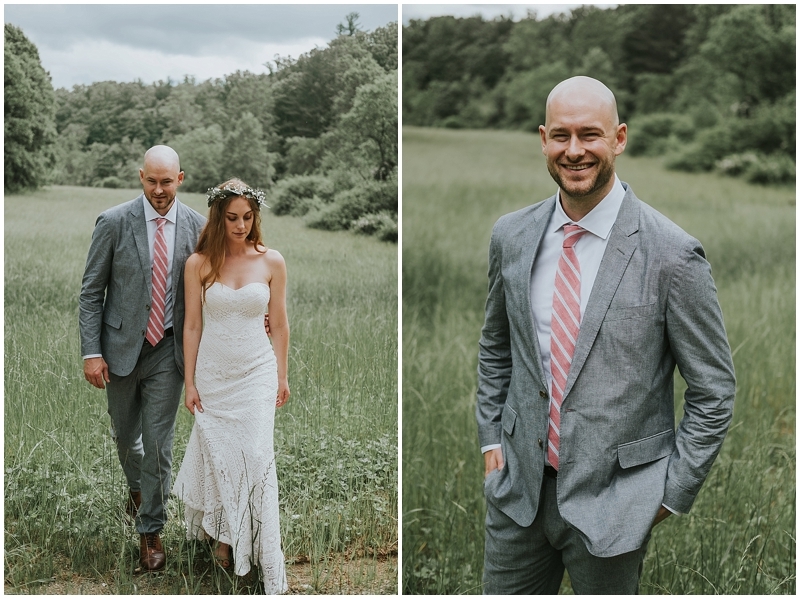 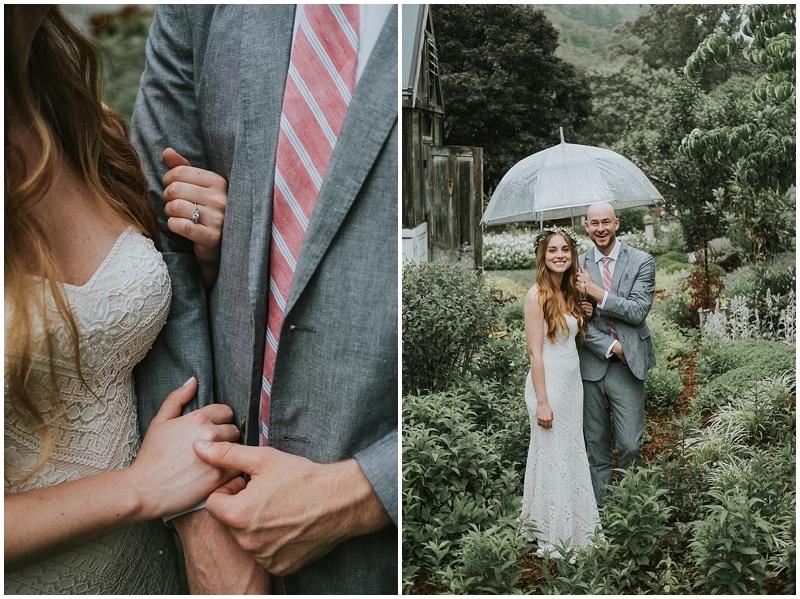 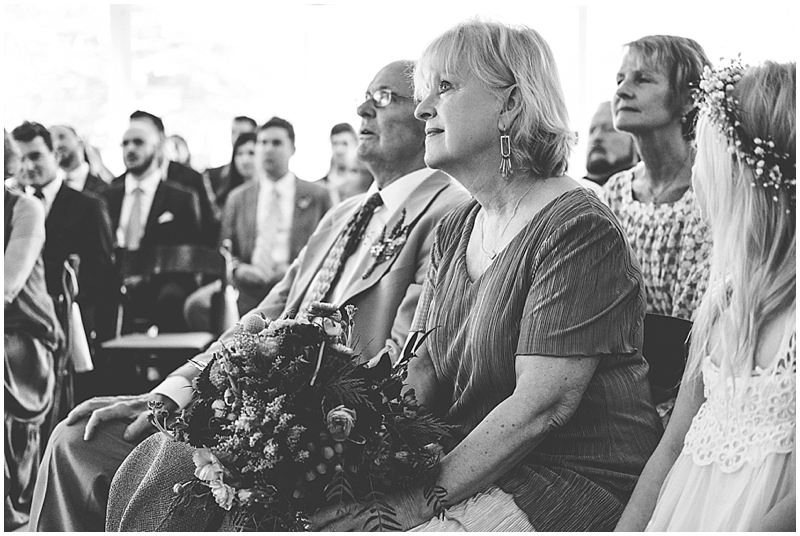 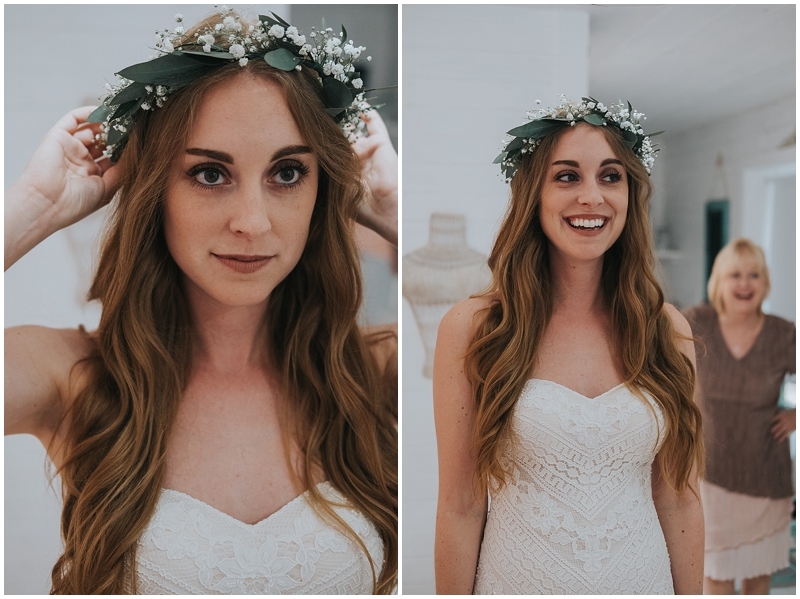 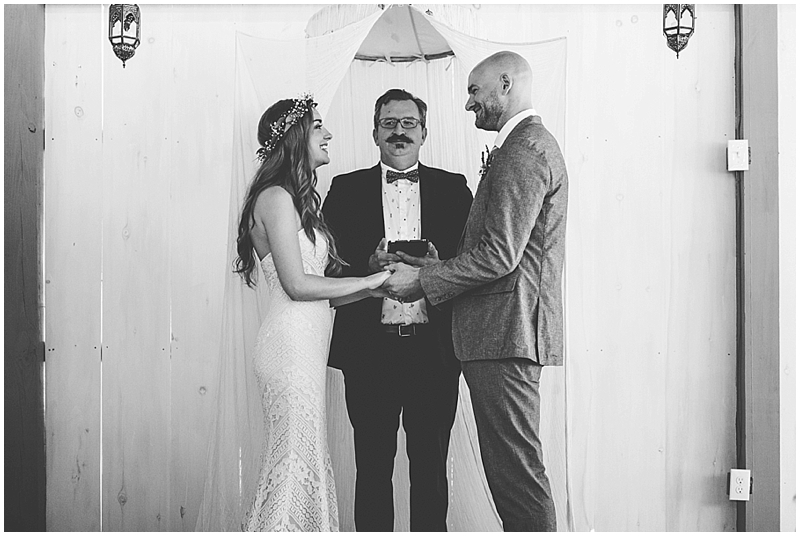 The day they were married it sprinkled on and off, but these two took refuge in a cozy greenhouse when the rain drops started during their first look. 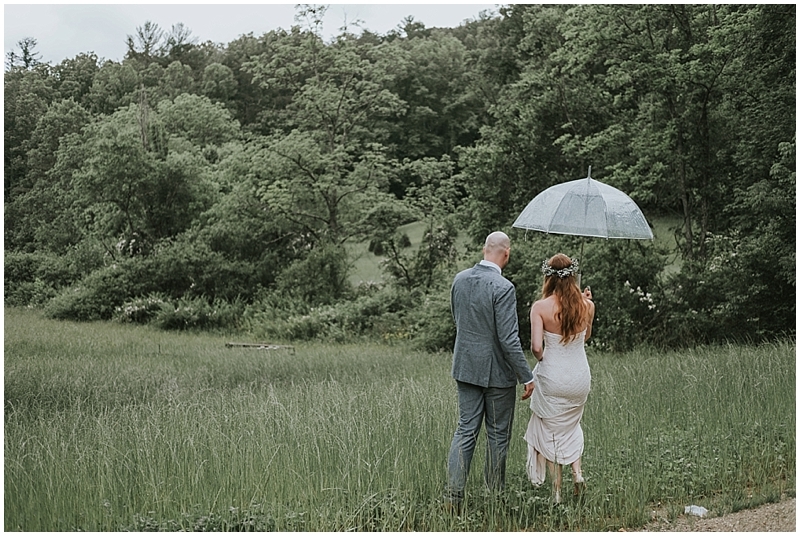 The clouds parted long enough for us to wander into a field and drop the umbrella for portraits a bit. 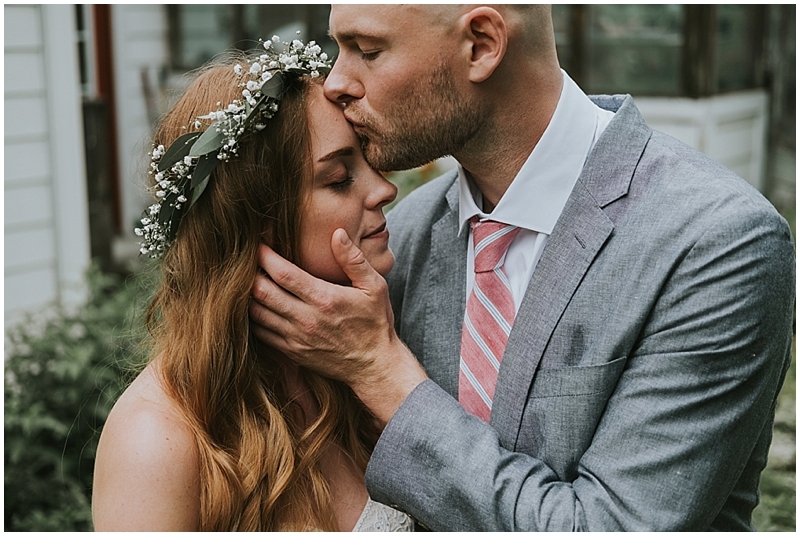 She and Jackson have the most loving chemistry, and they were just a joy to photograph. 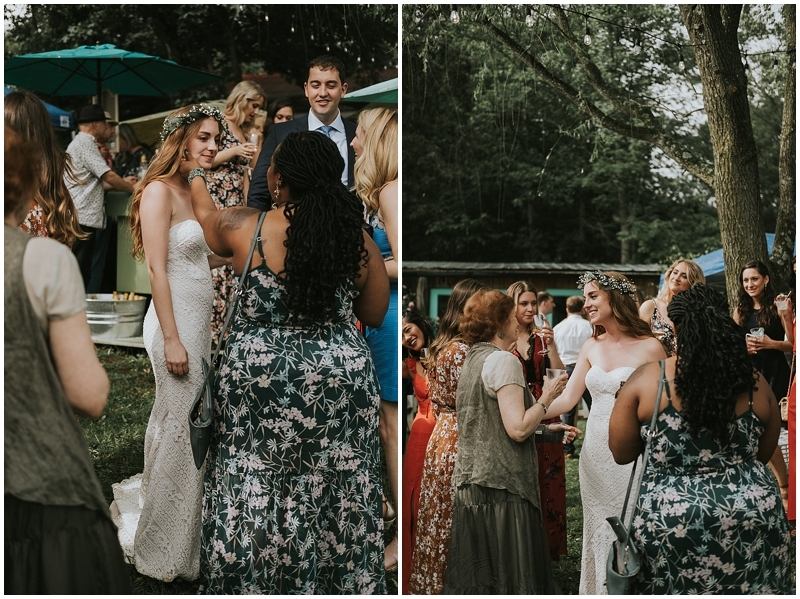 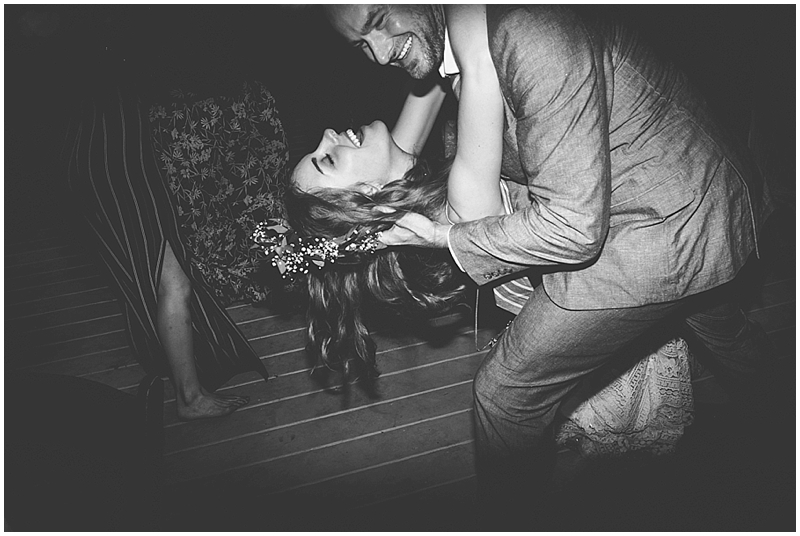 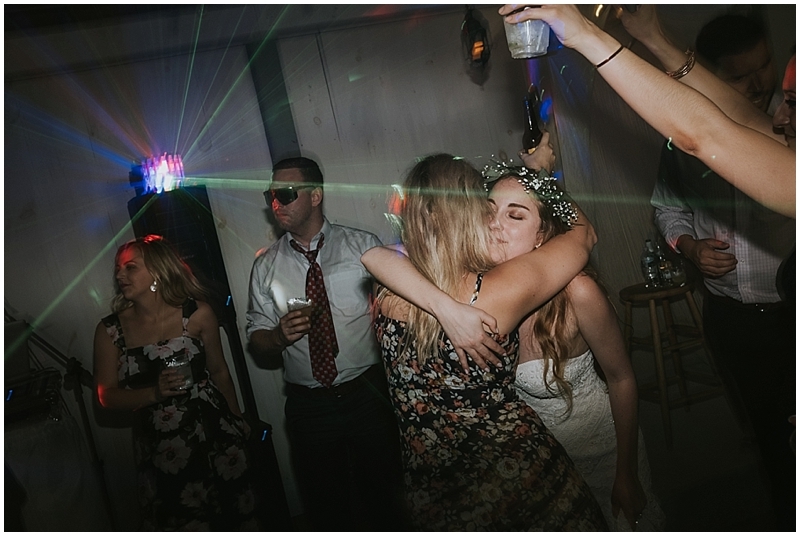 I’m of course a huge fan of Erica’s flower crown and beautifully fitted dress. 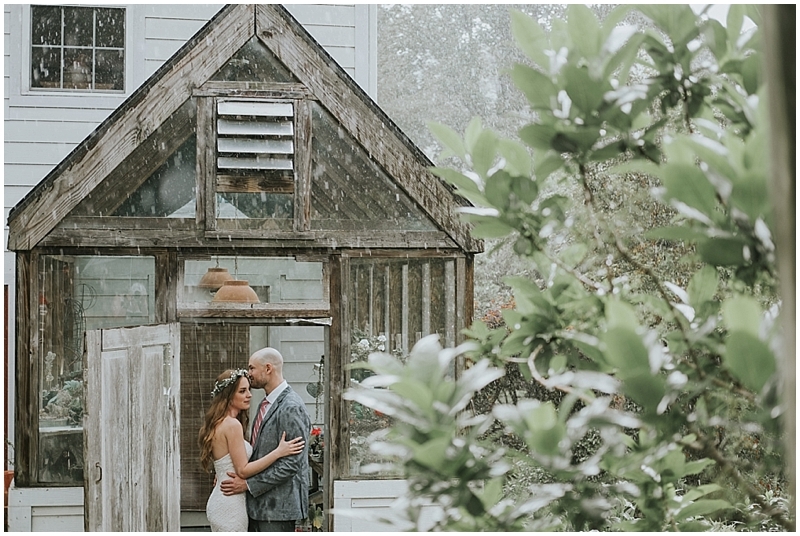 Their wedding ceremony was planned for outside, but due to the rain was moved into the open-air reception building. 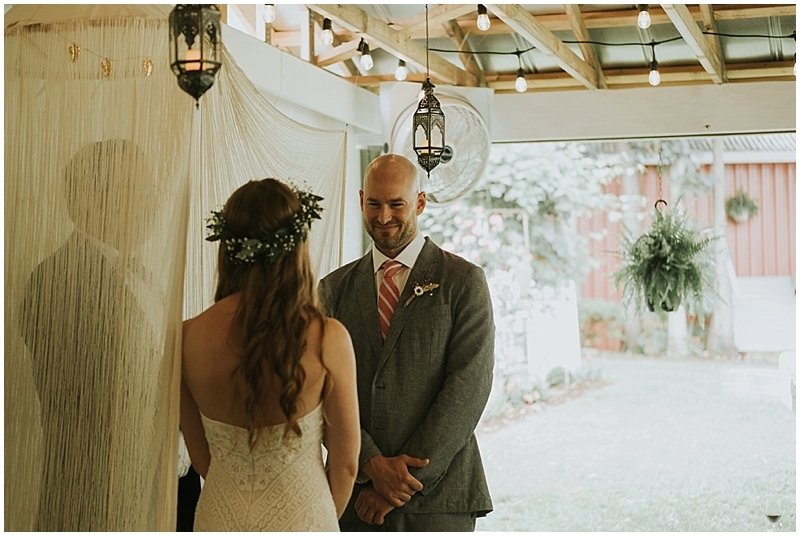 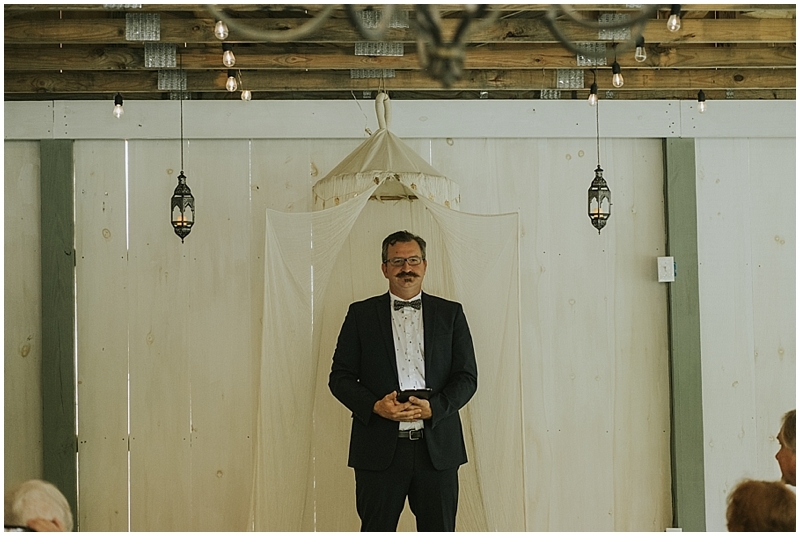 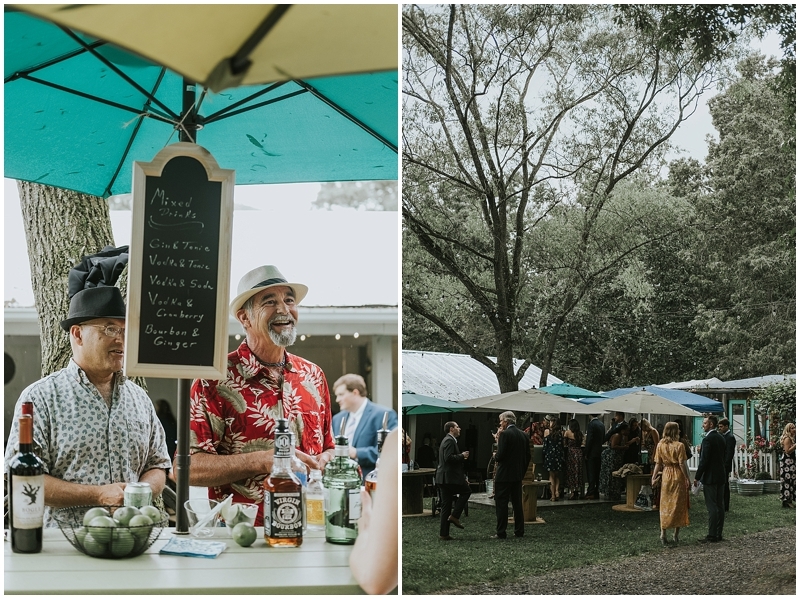 Their lanterns and canopy added a minimalist bohemian flair to this last minute ceremony spot, and the flowers added the loveliest pops of color. 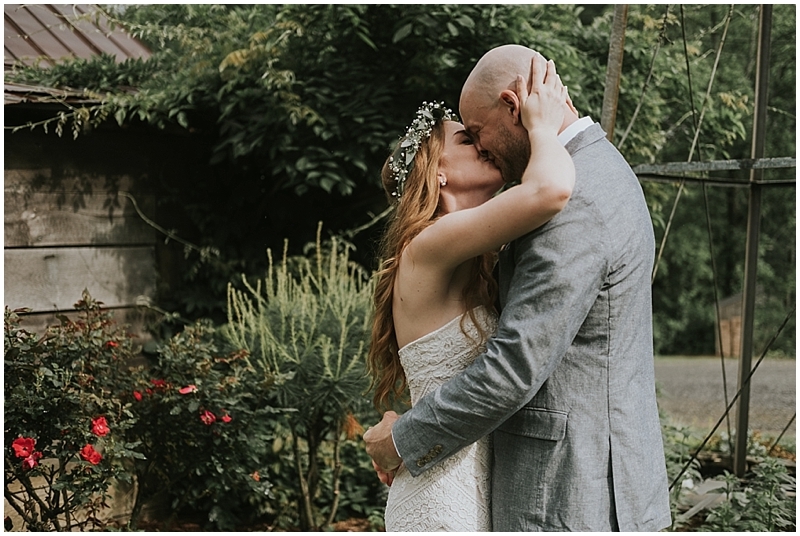 Erica and Jackson shared the sweetest words, and I’m pretty sure I teared up along with everyone else who listened. 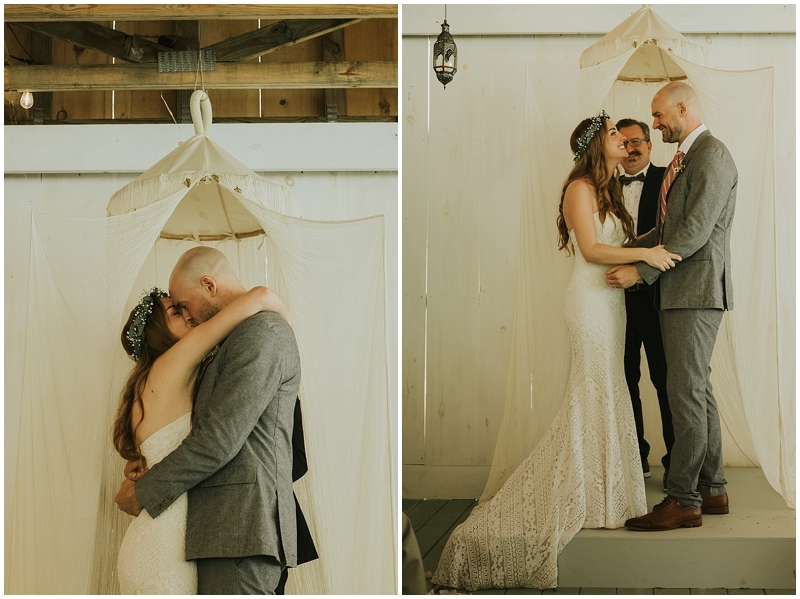 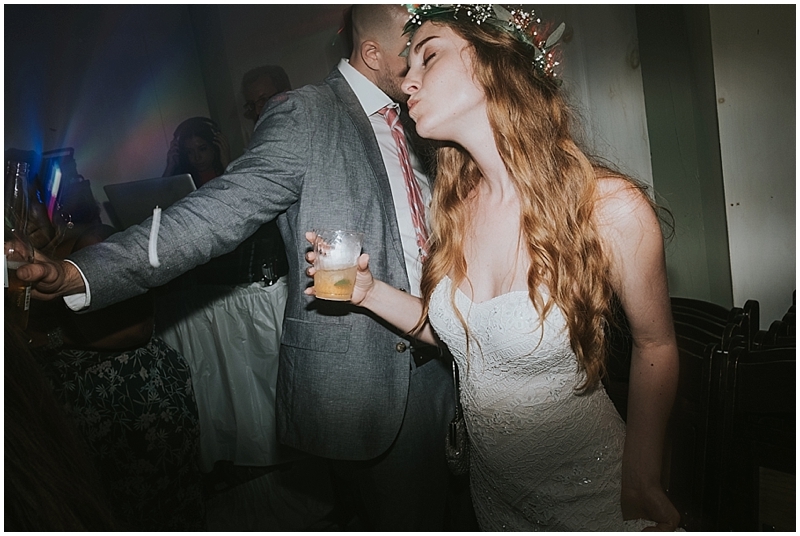 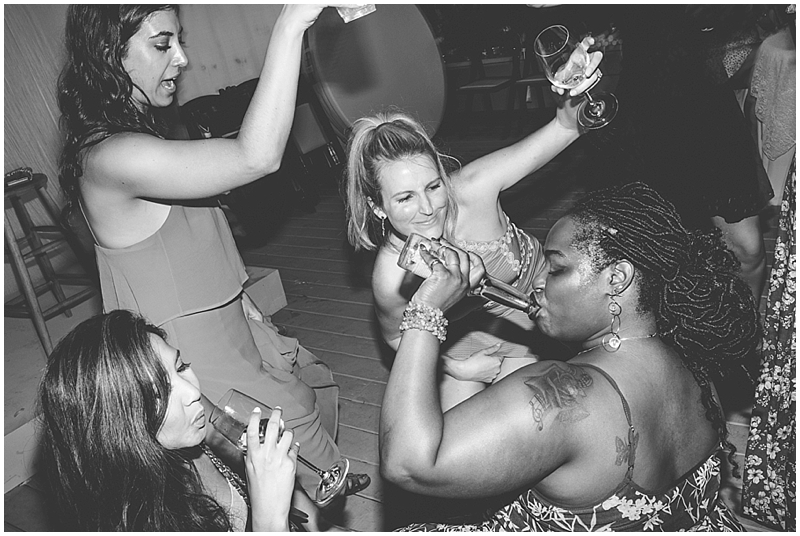 After the ceremony, these newlyweds enjoyed a few private moments soaking in these big memories before walking in and hugging everyone at the cocktail hour. 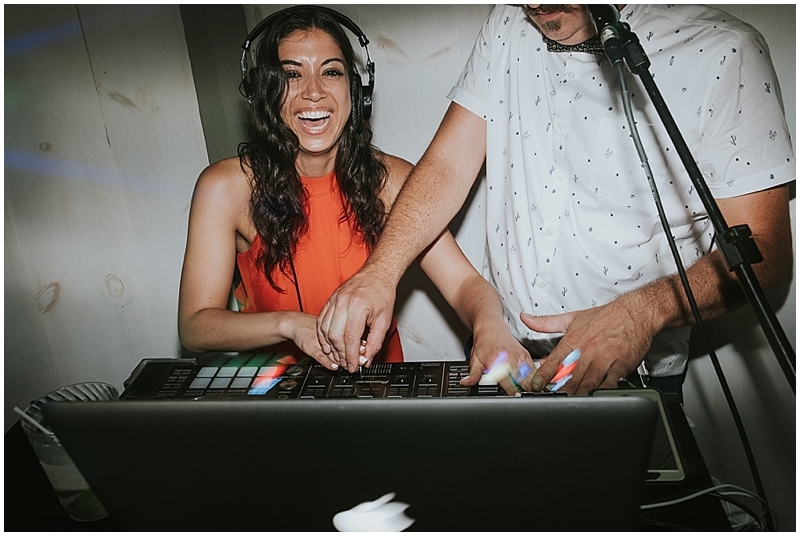 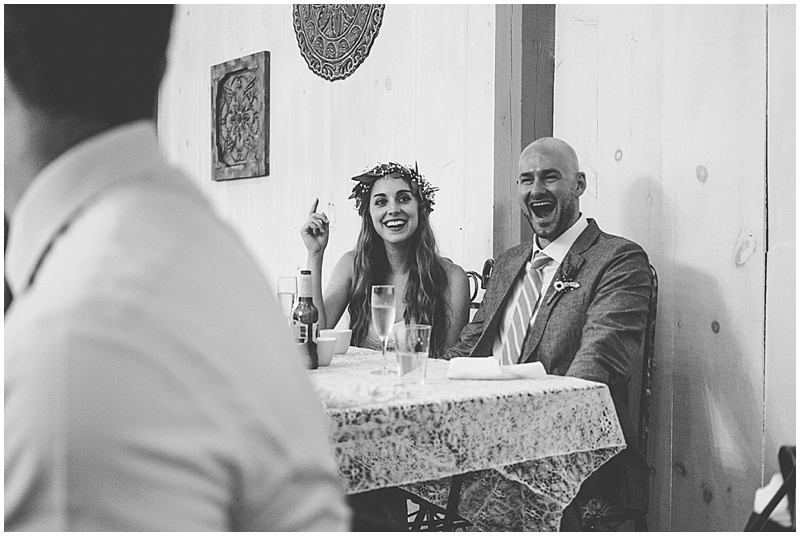 These two met at a music festival, so you know the music was fantastic. 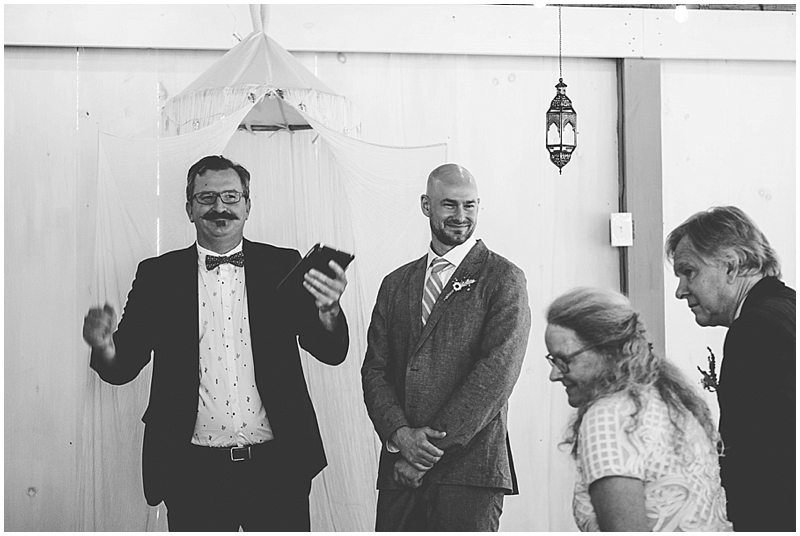 Erica’s dad even made his own rap for his speech! 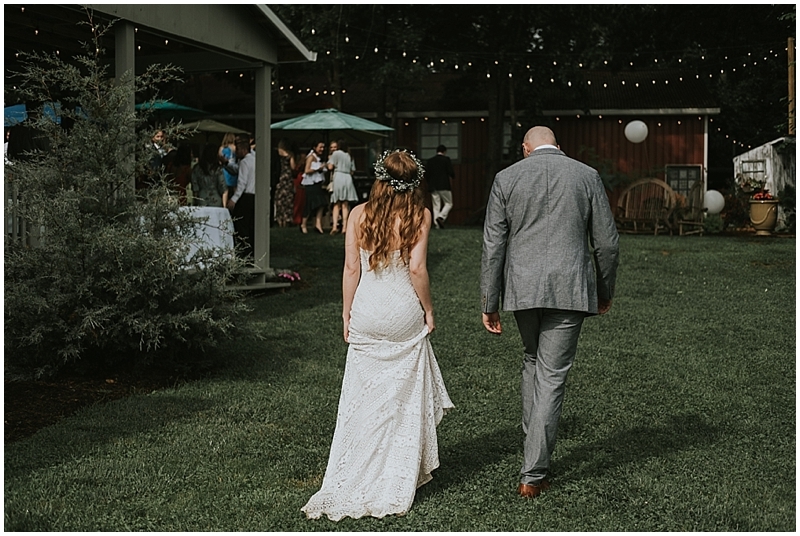 It was so fantastic. 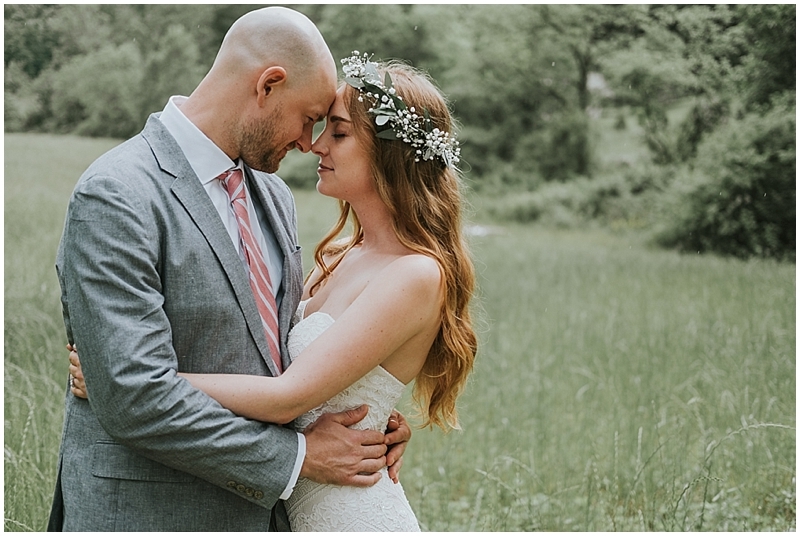 Erica and Jackson, thank you so much for asking me to capture the memories of your beautiful wedding. 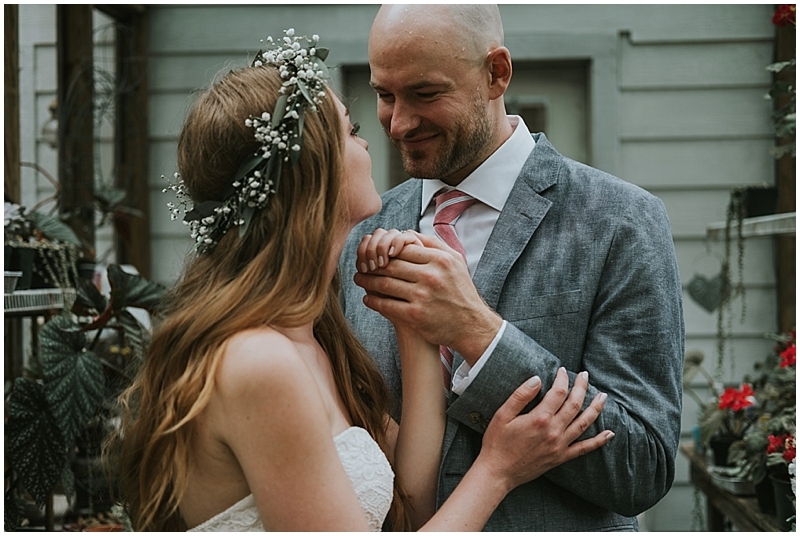 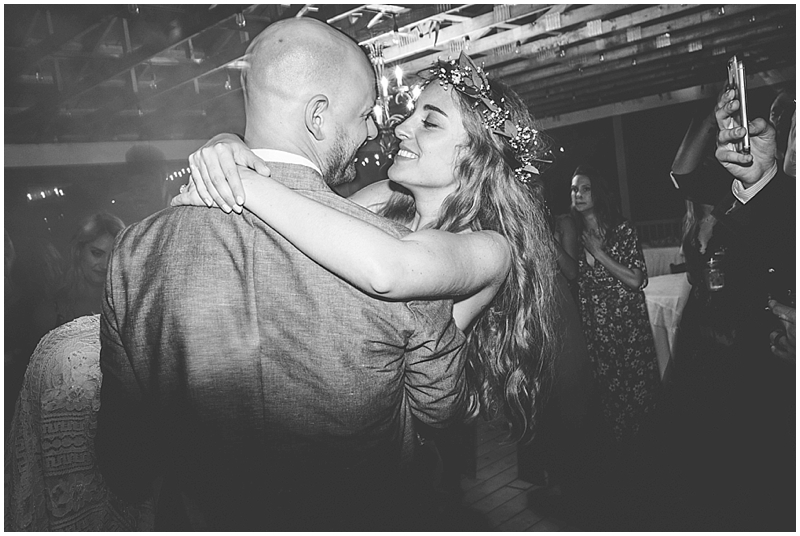 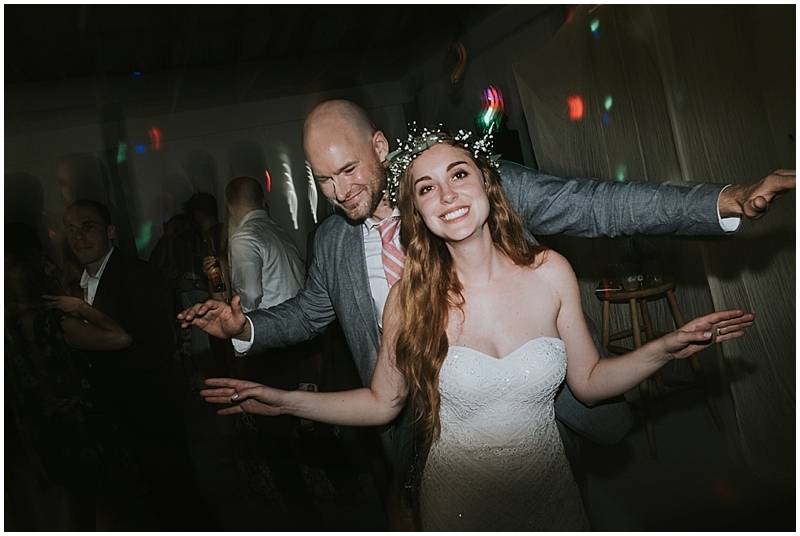 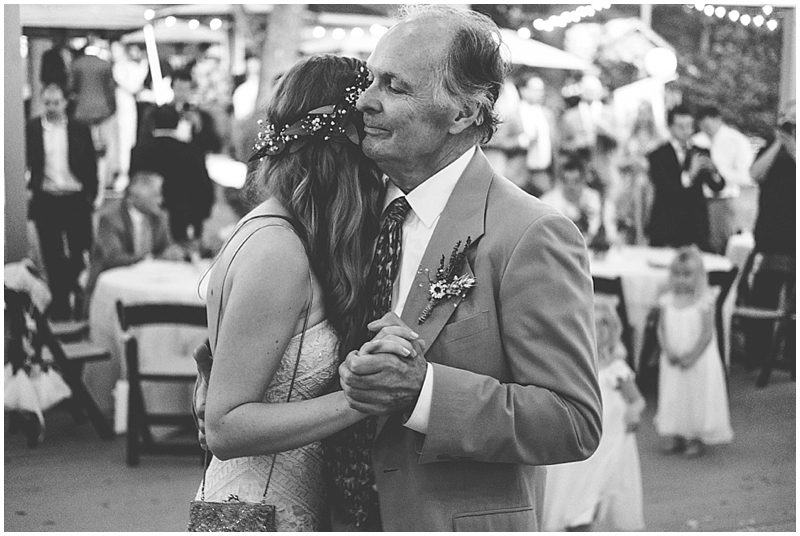 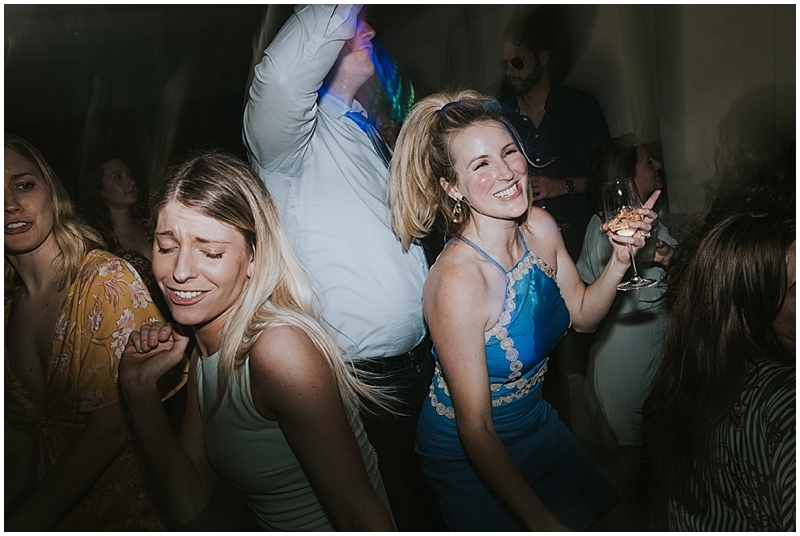 I wish you both so many years of happiness and dancing! 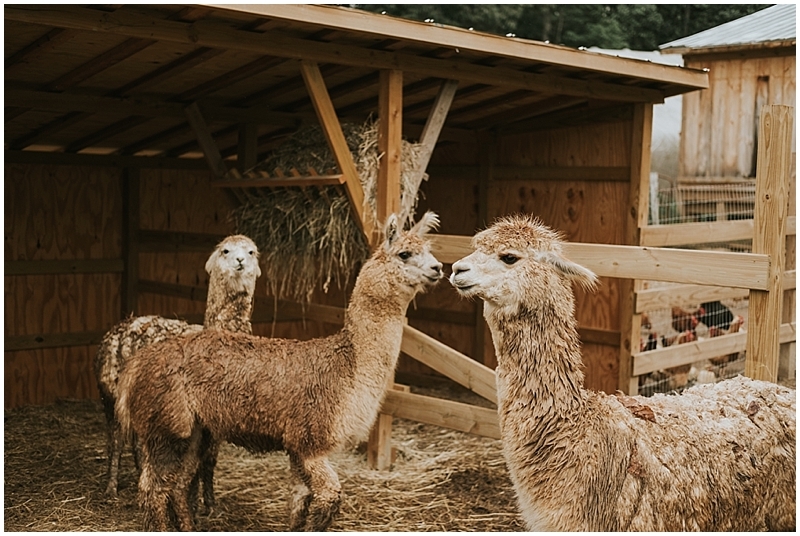 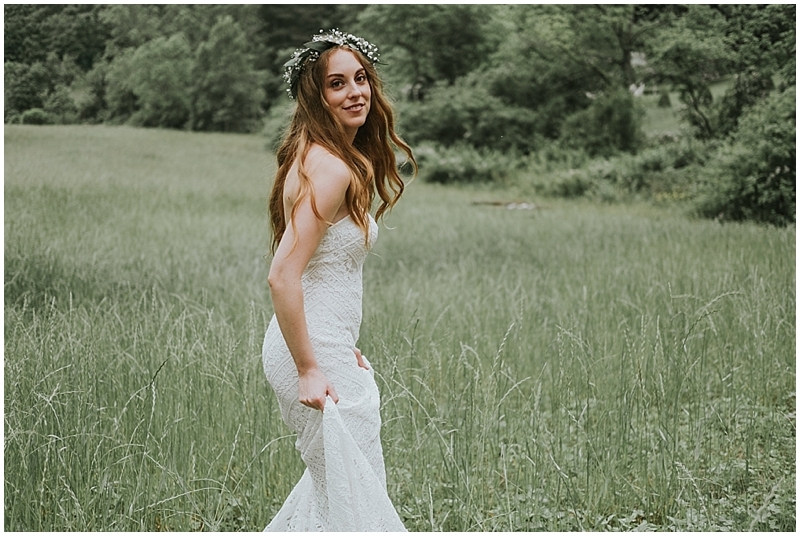 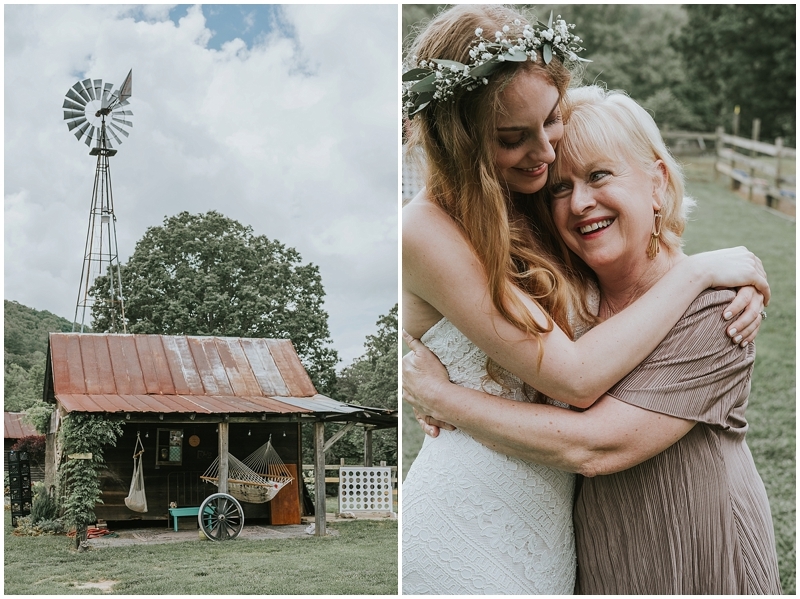 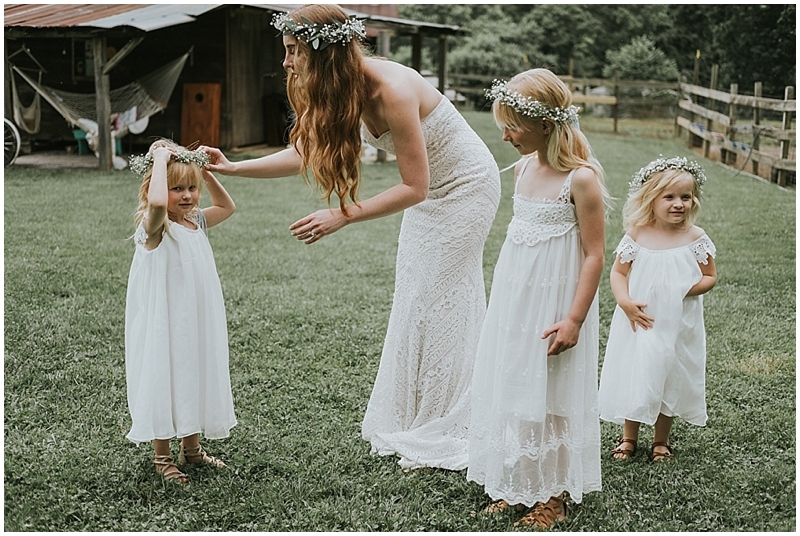 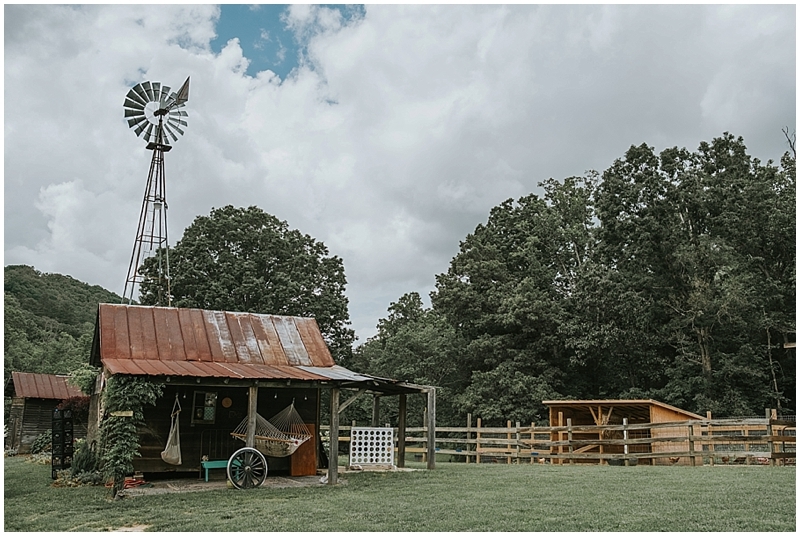 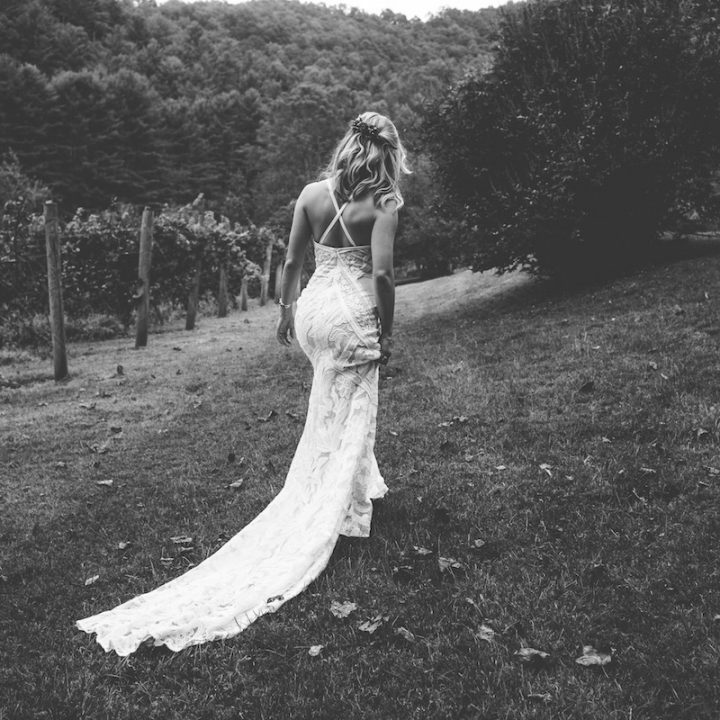 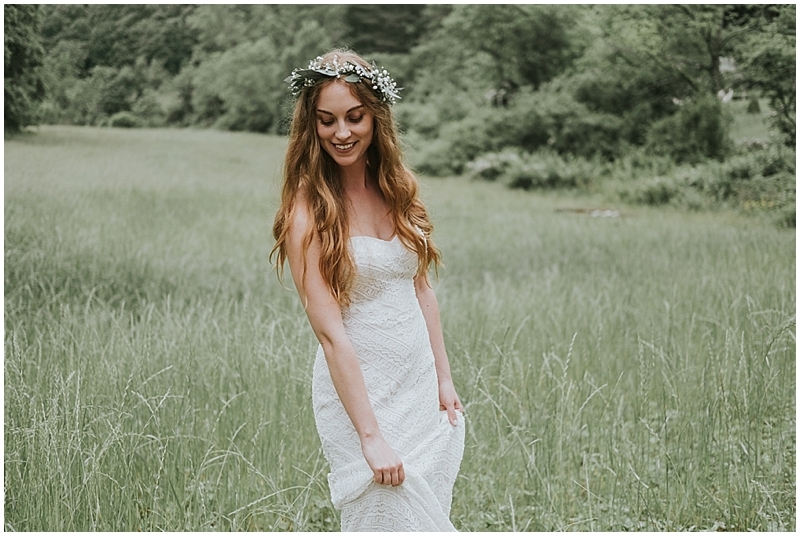 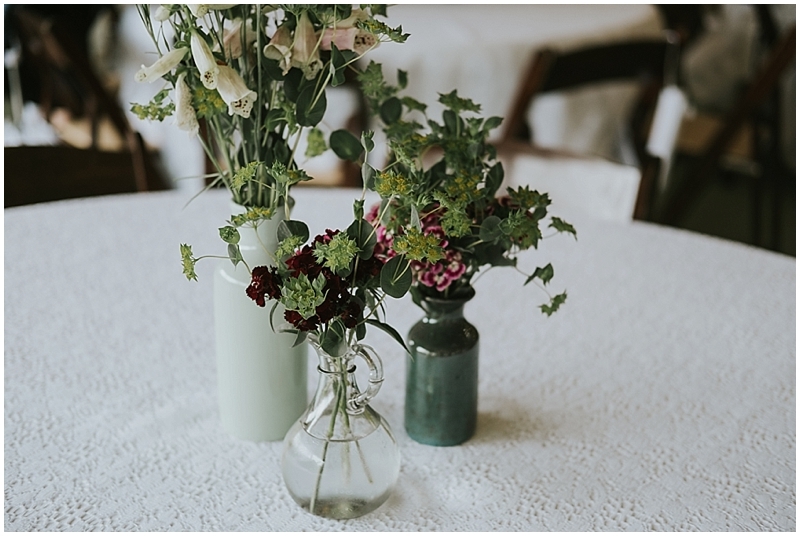 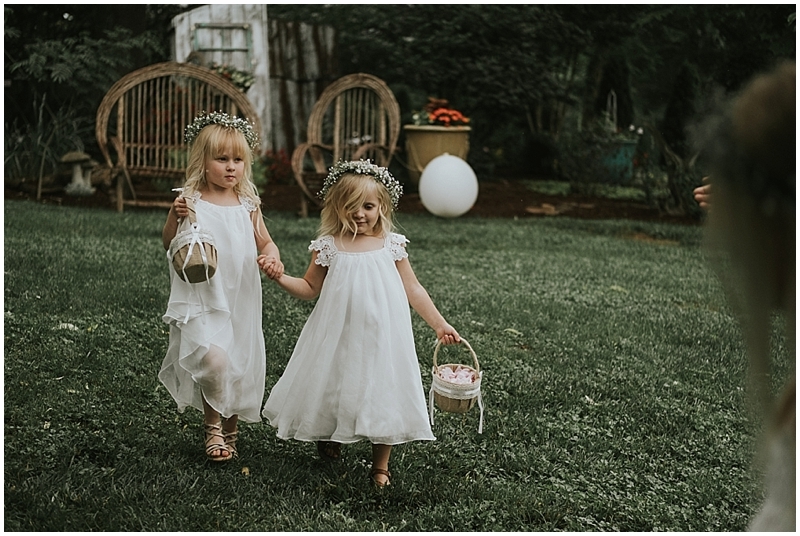 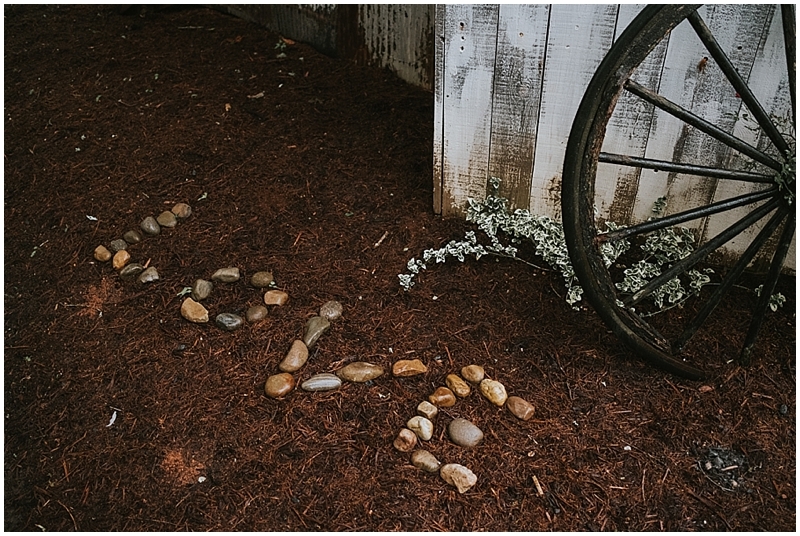 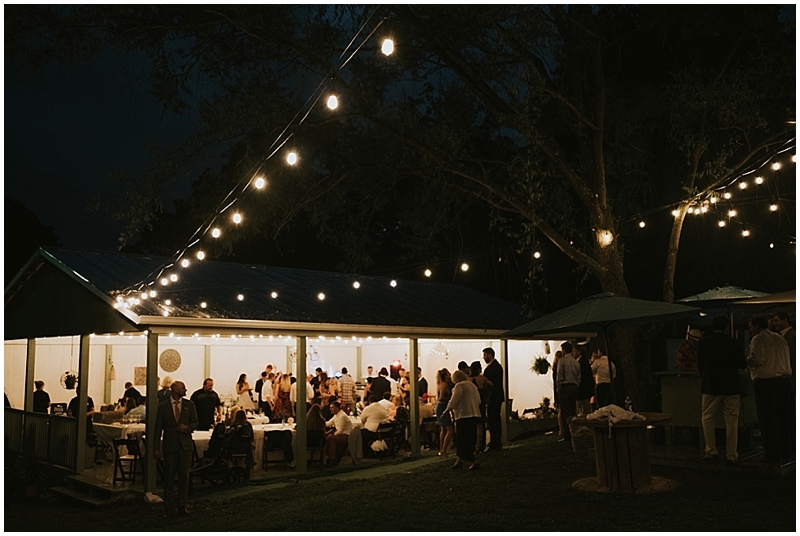 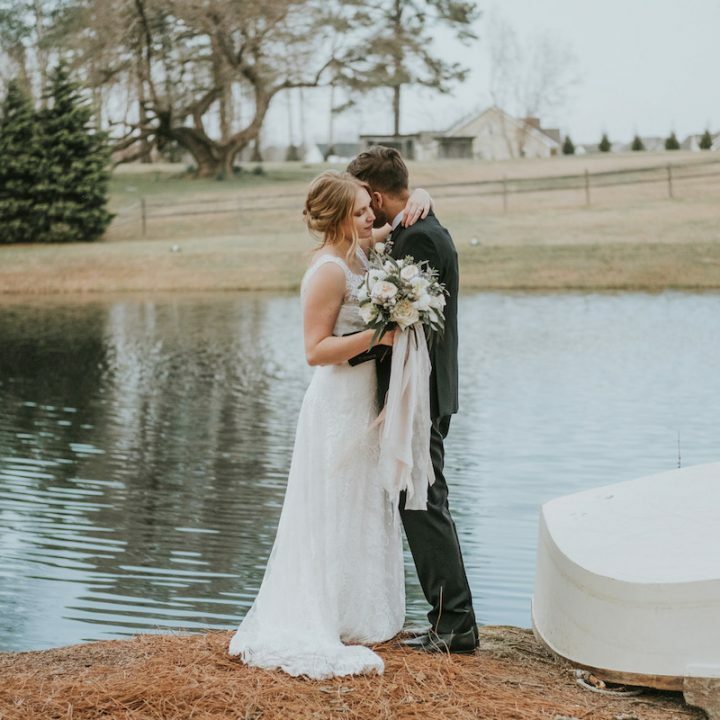 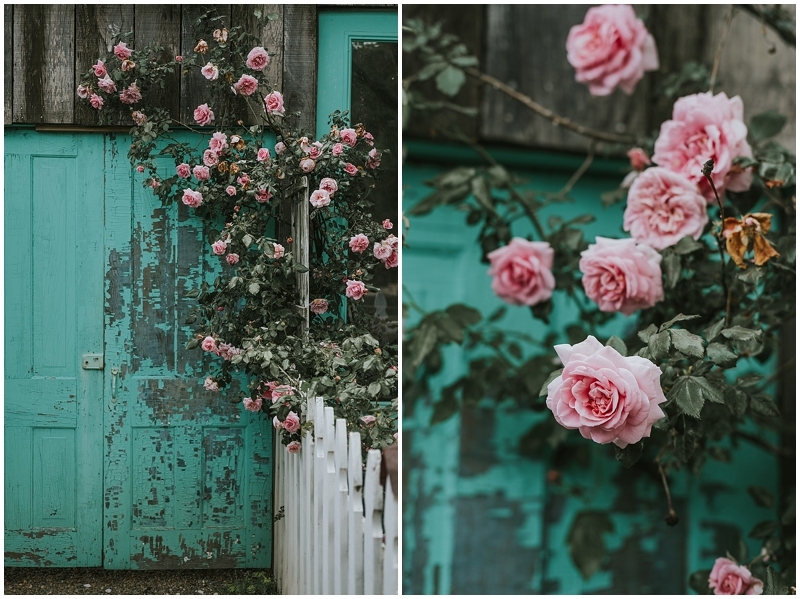 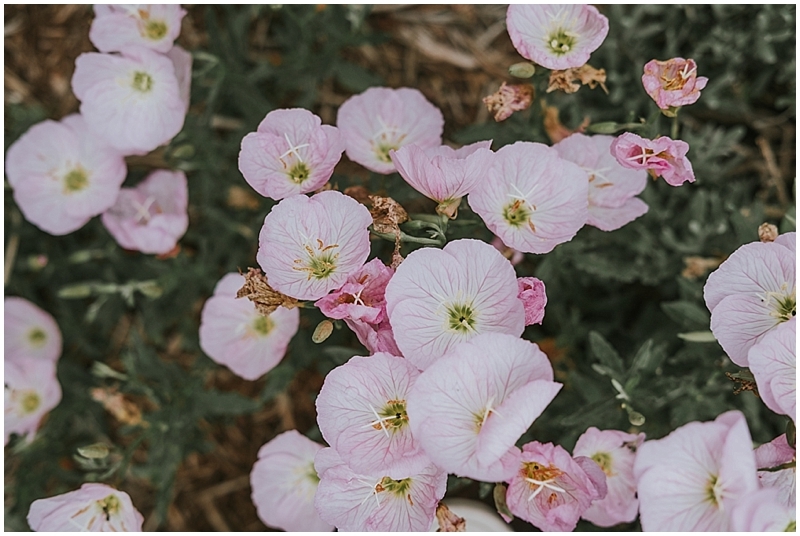 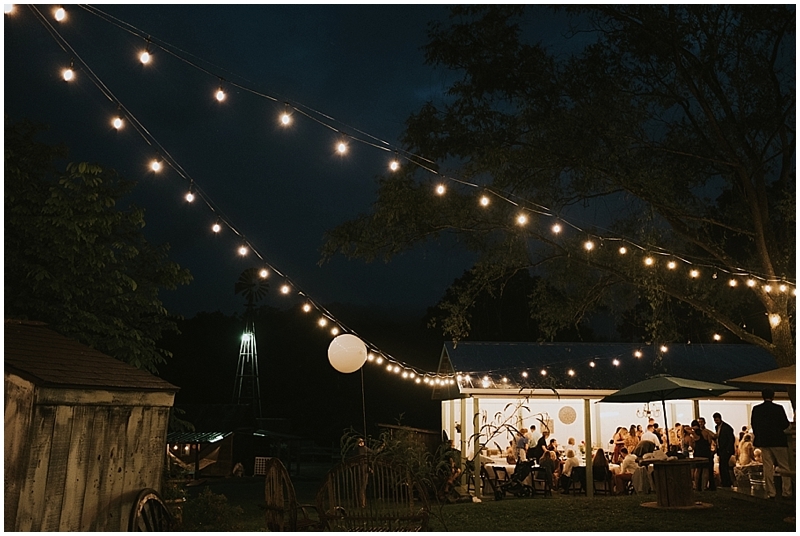 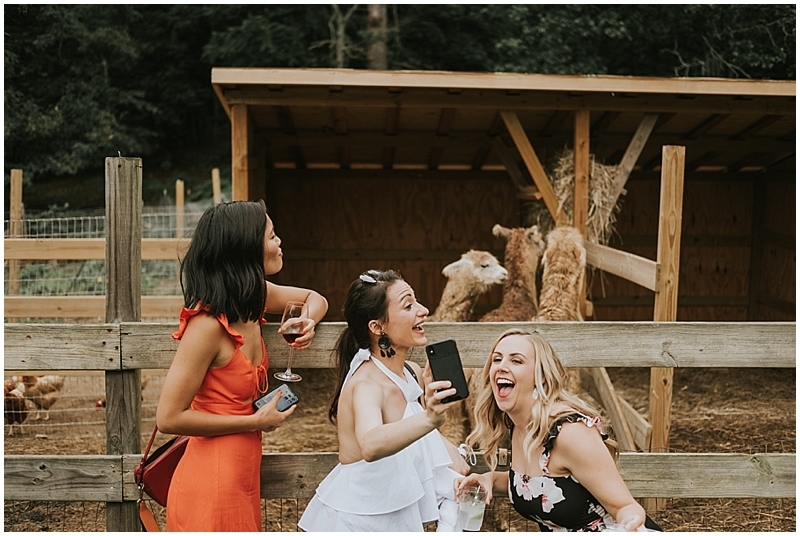 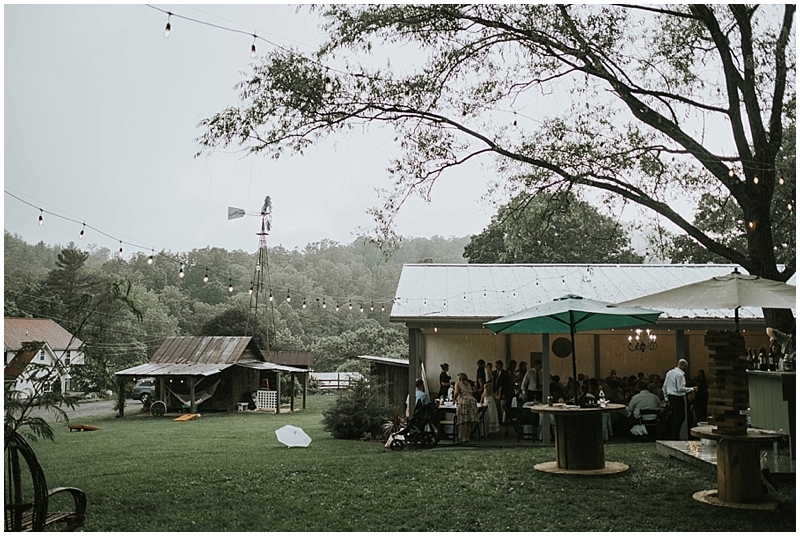 Want to see more beautiful outdoor farm wedding photos? 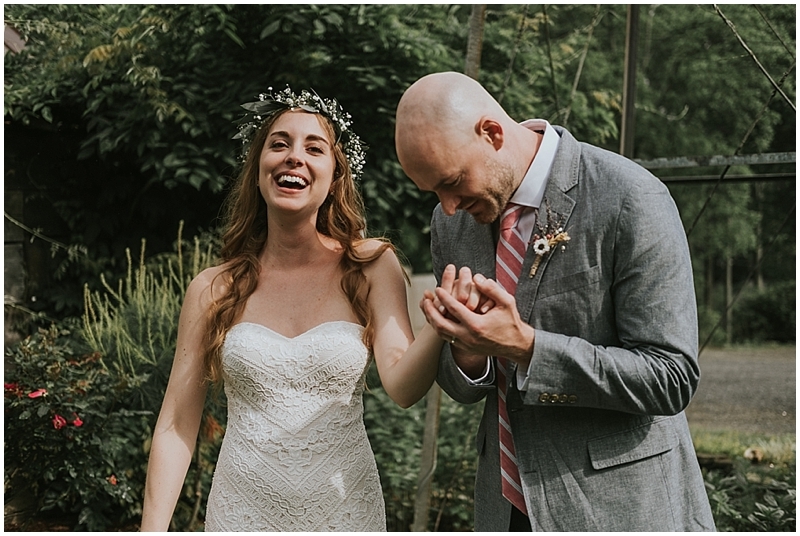 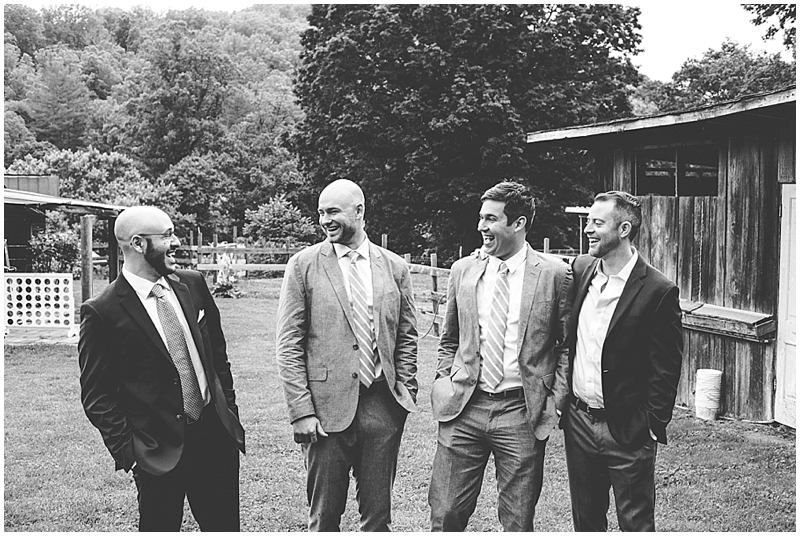 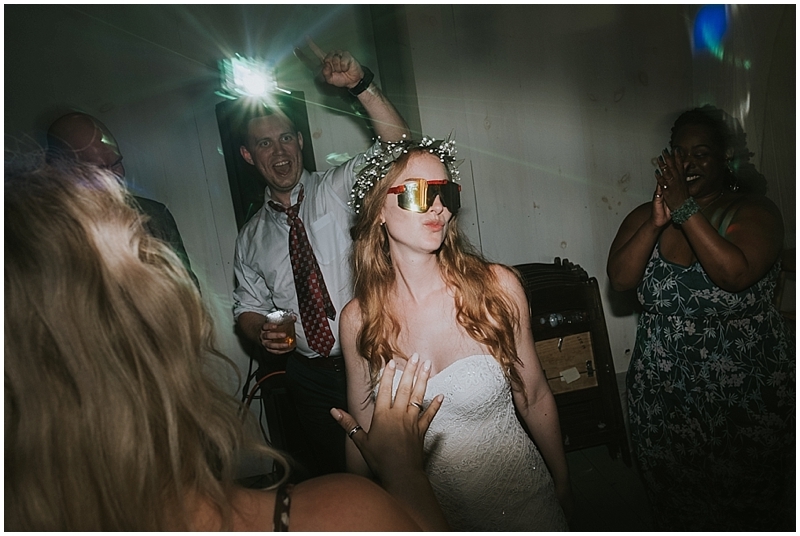 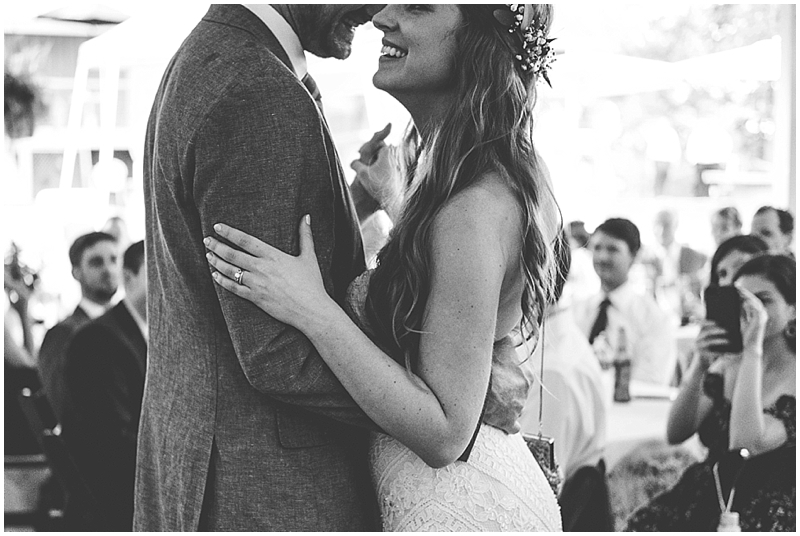 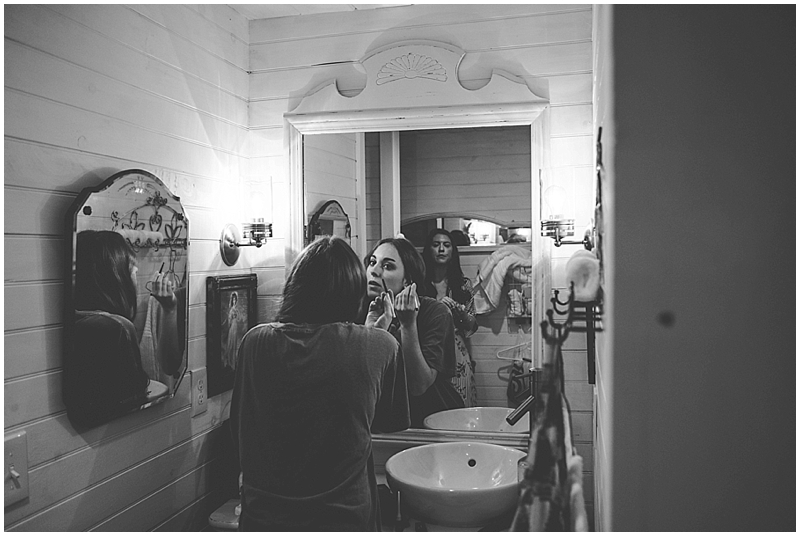 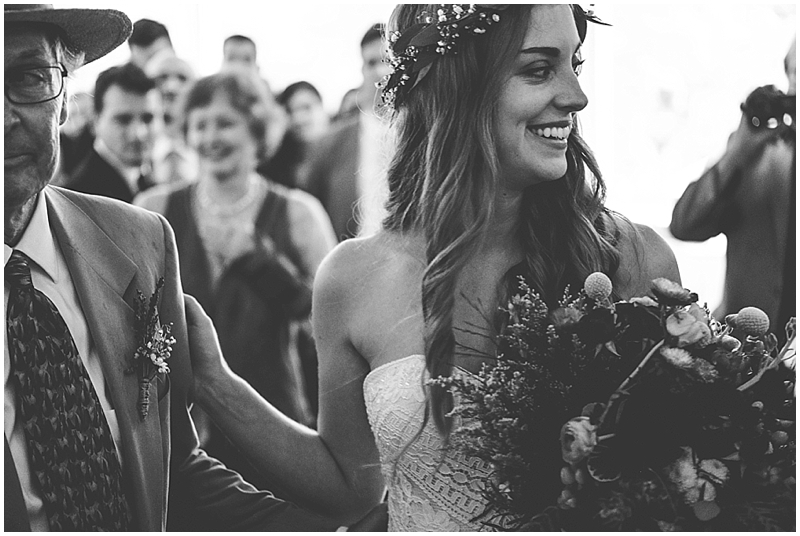 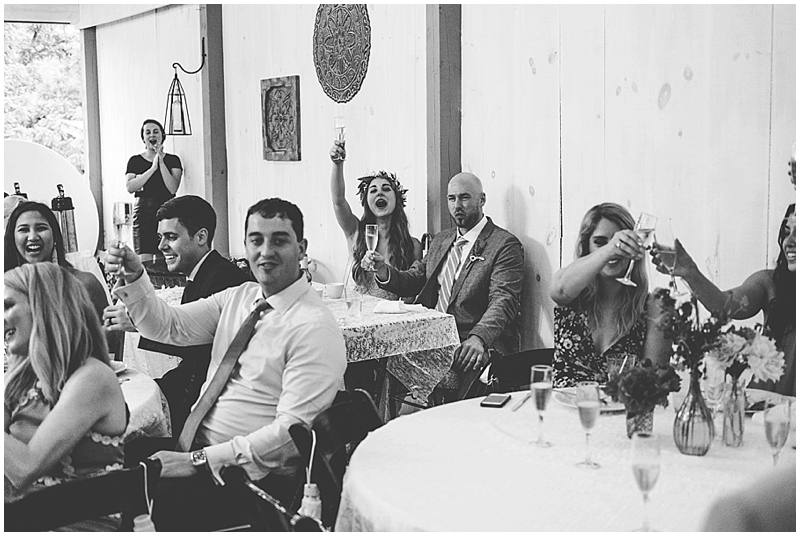 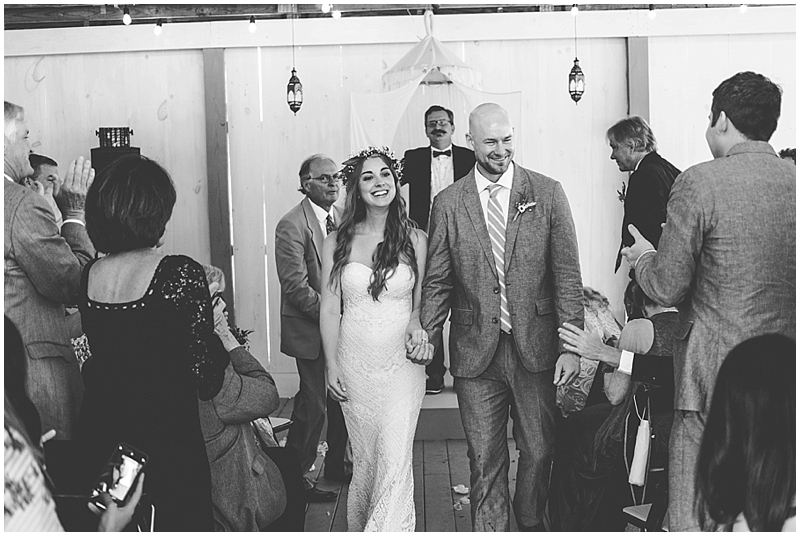 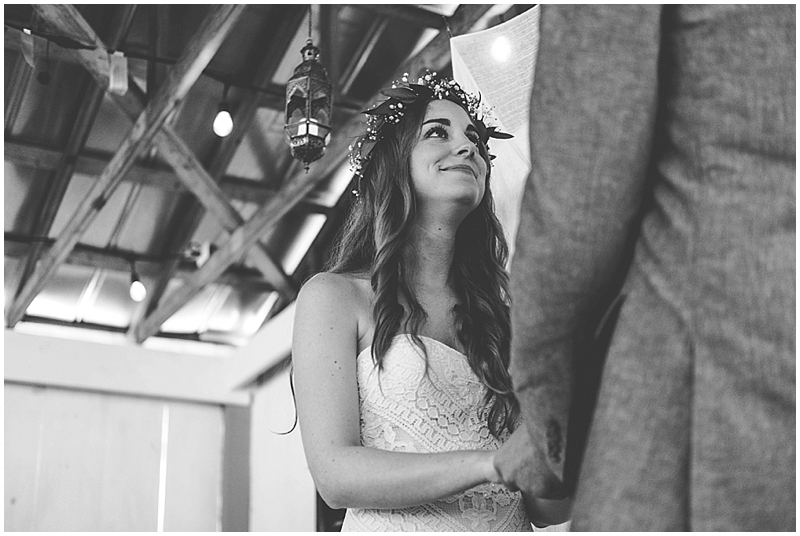 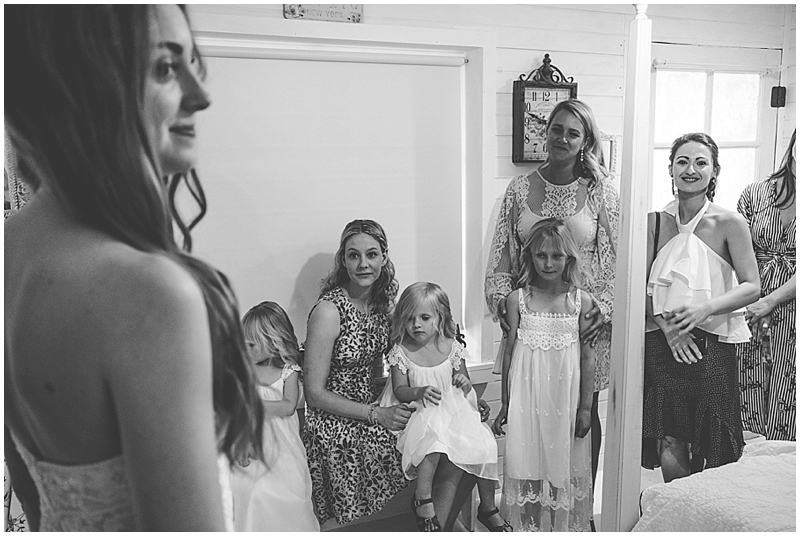 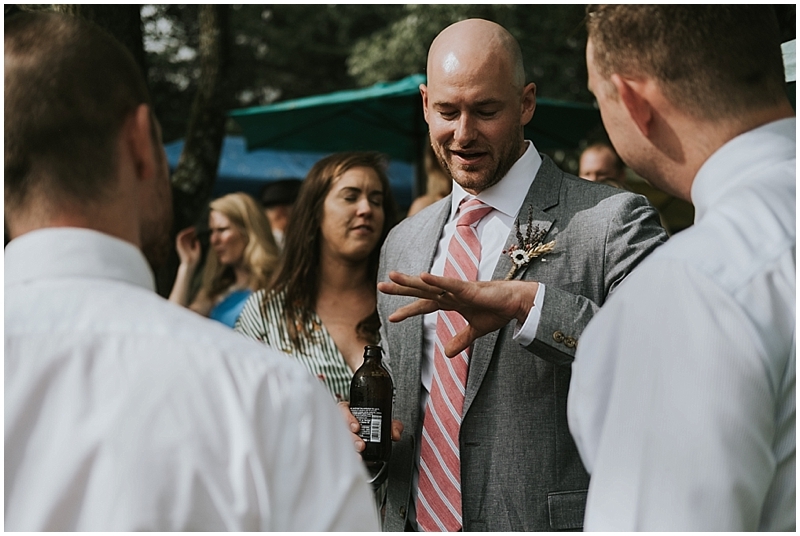 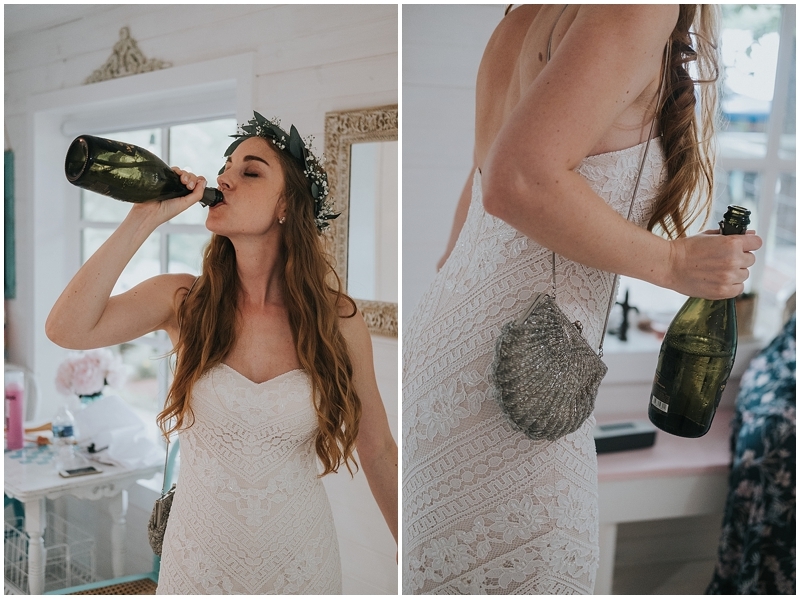 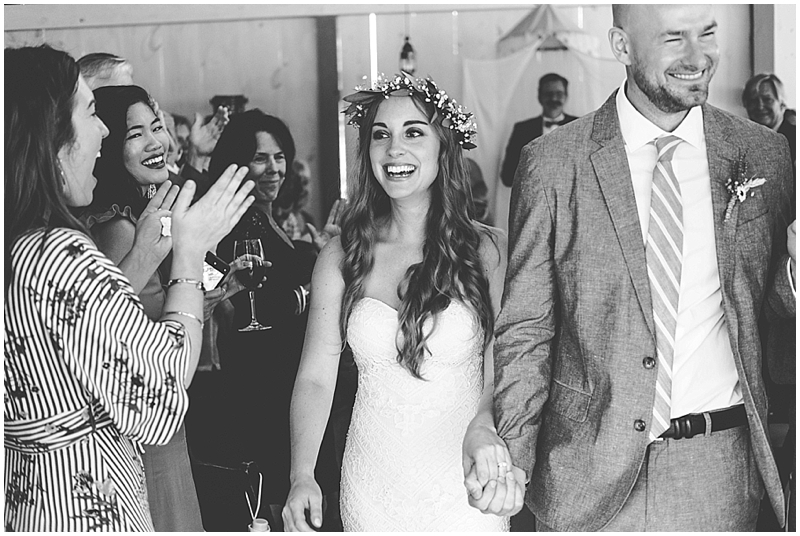 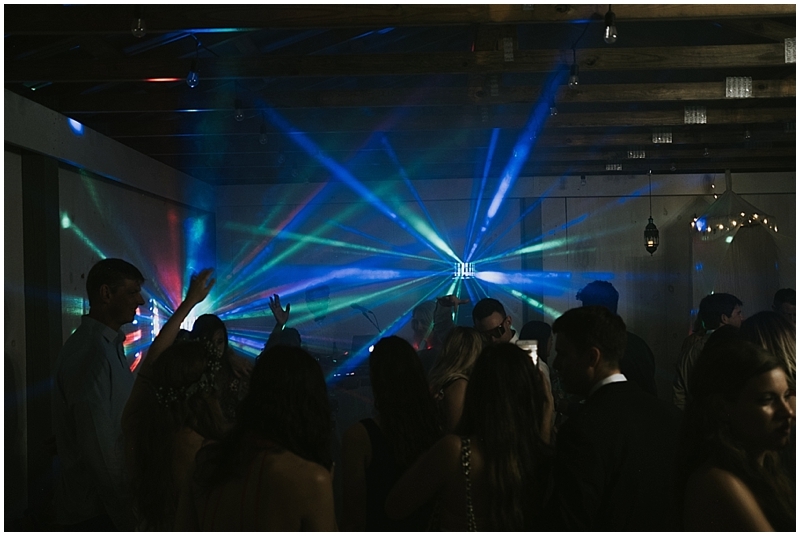 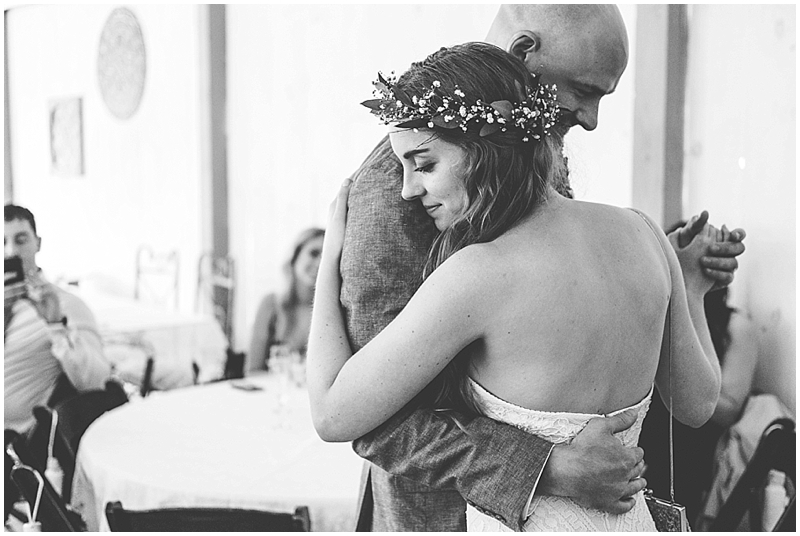 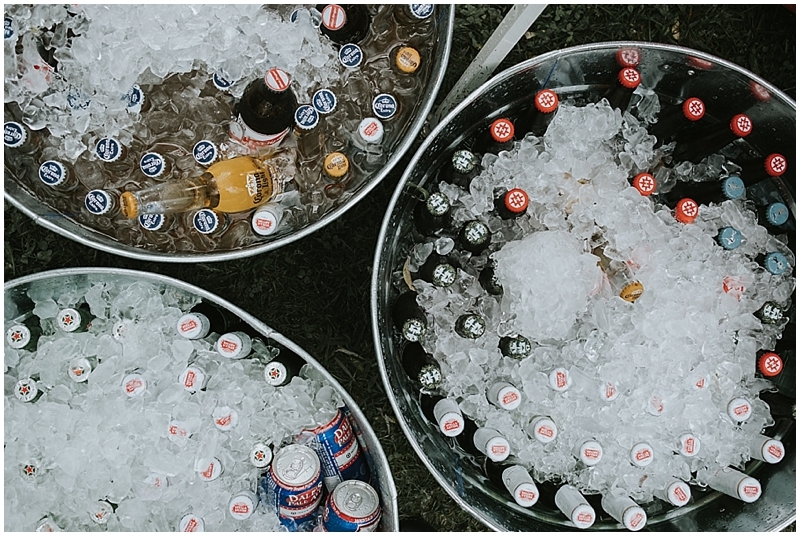 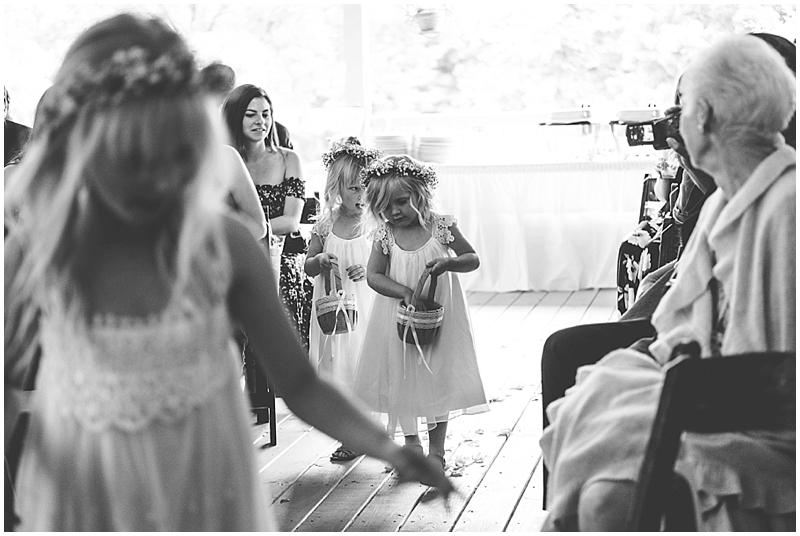 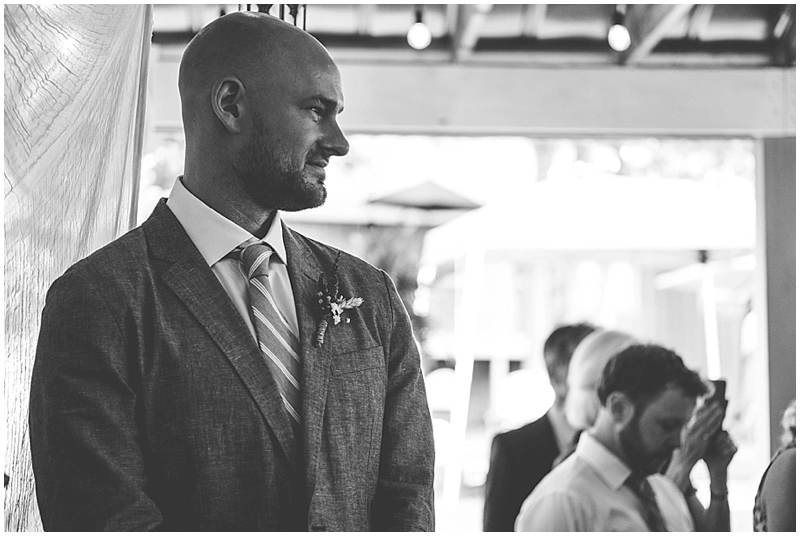 Check out Hannah + Matt’s wedding at Starlight Meadow!